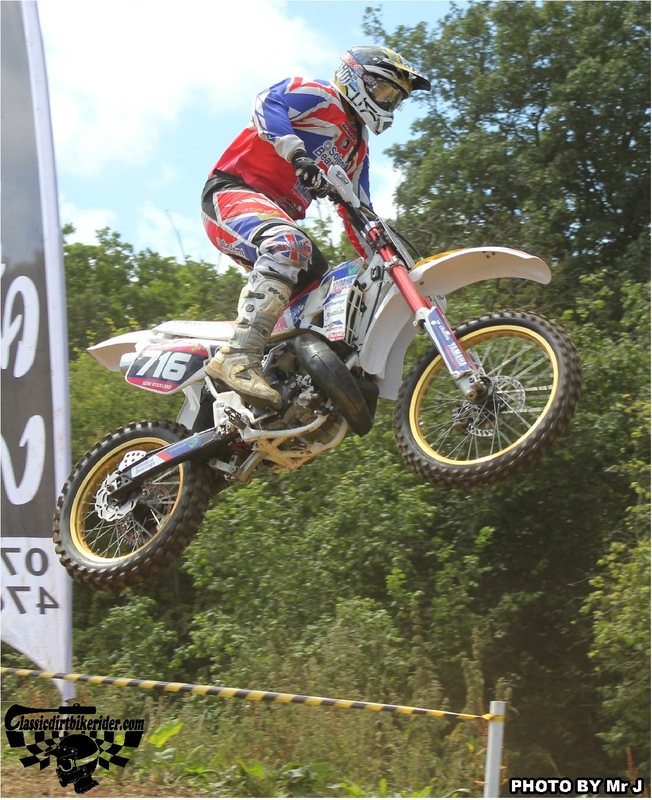 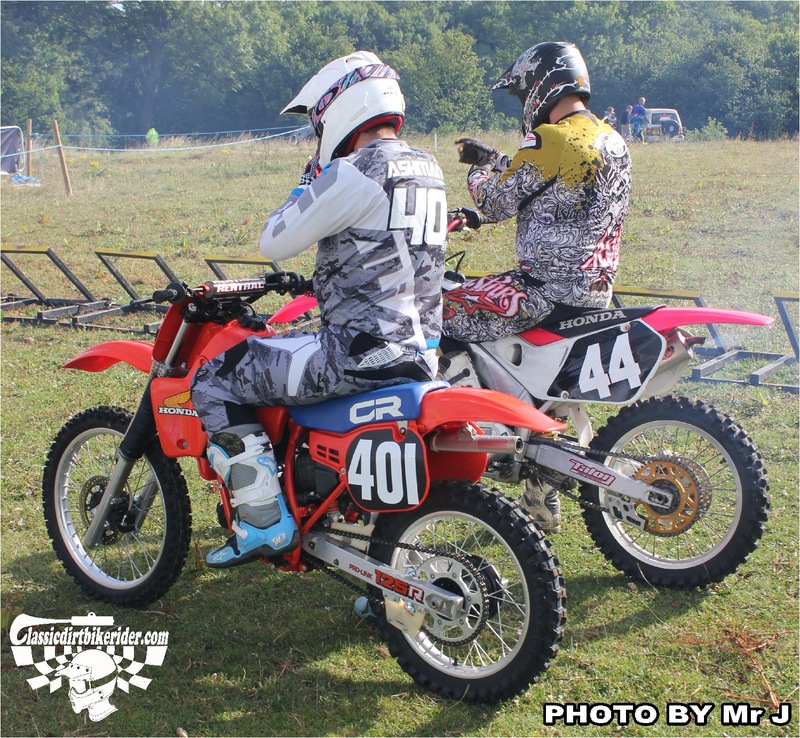 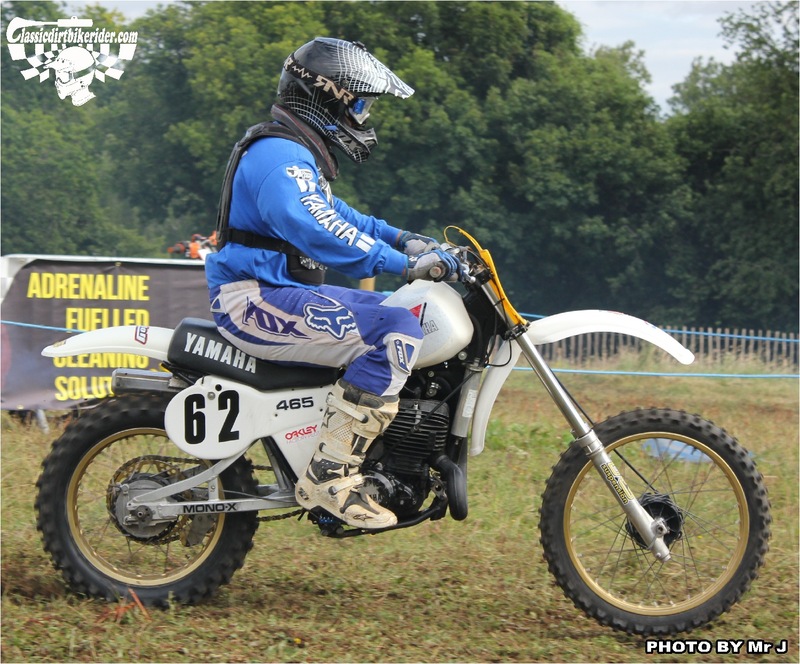 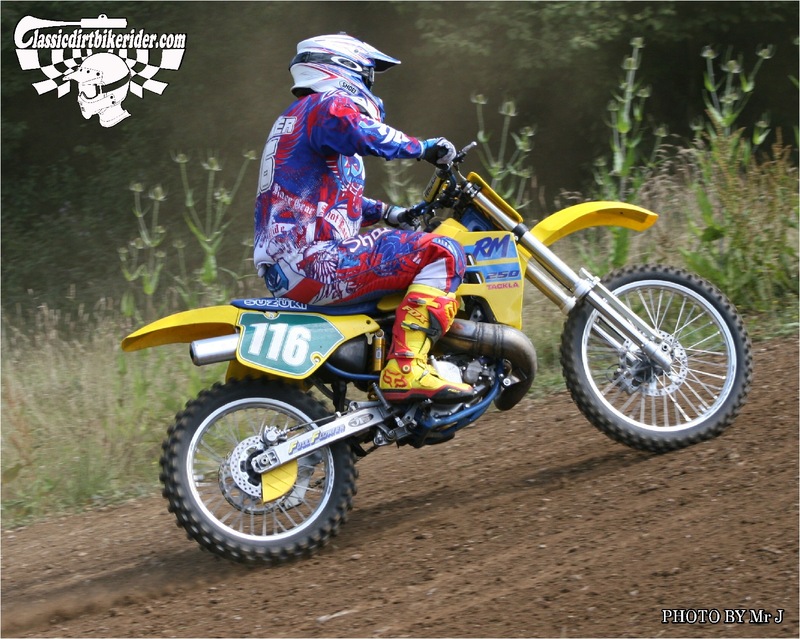 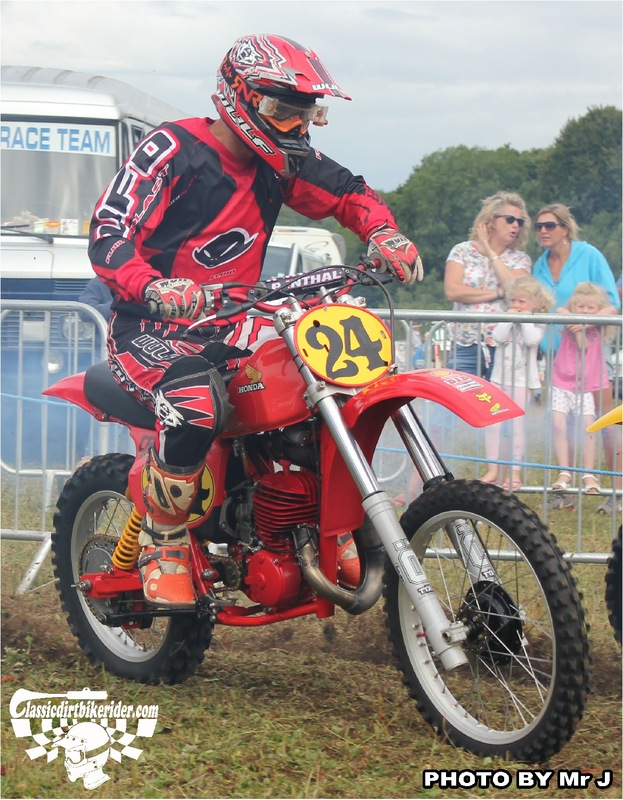 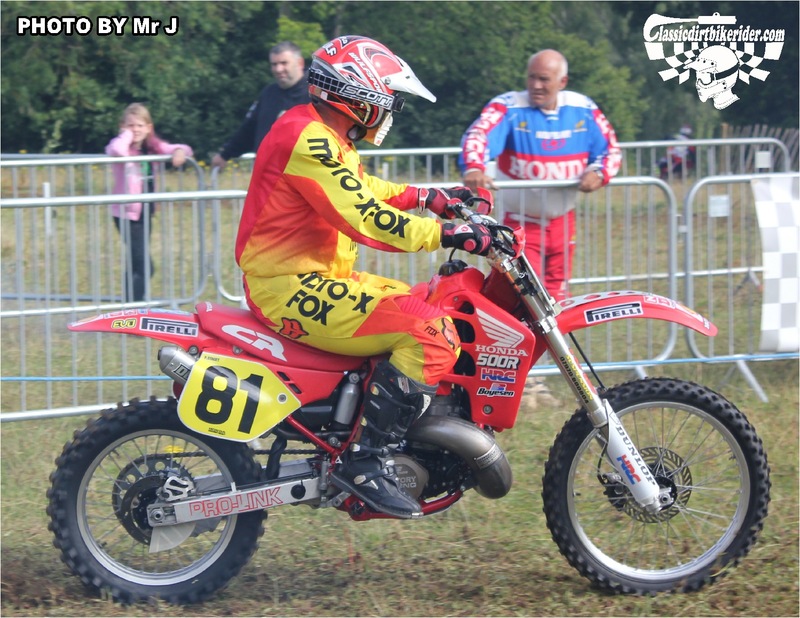 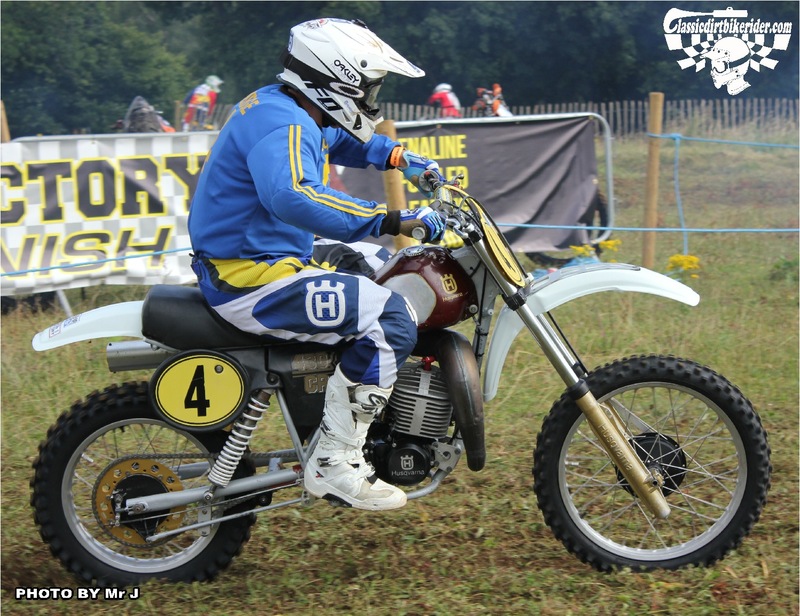 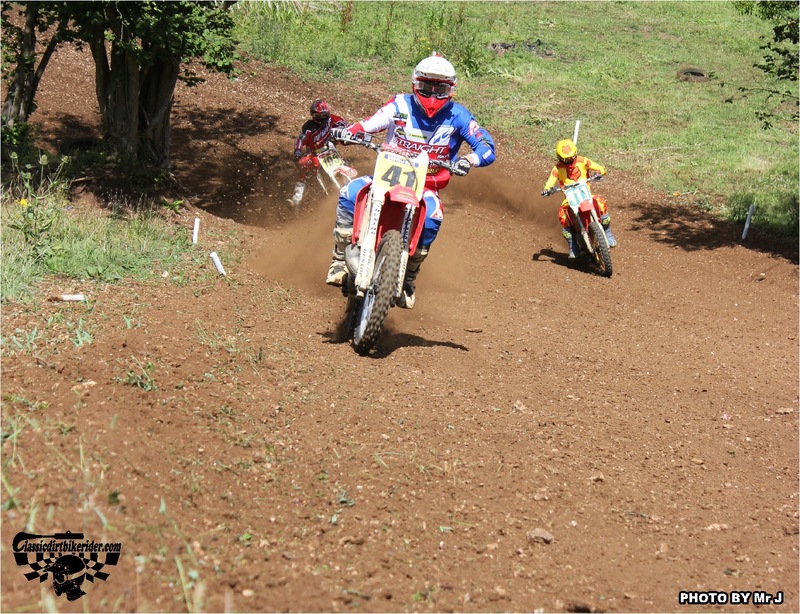 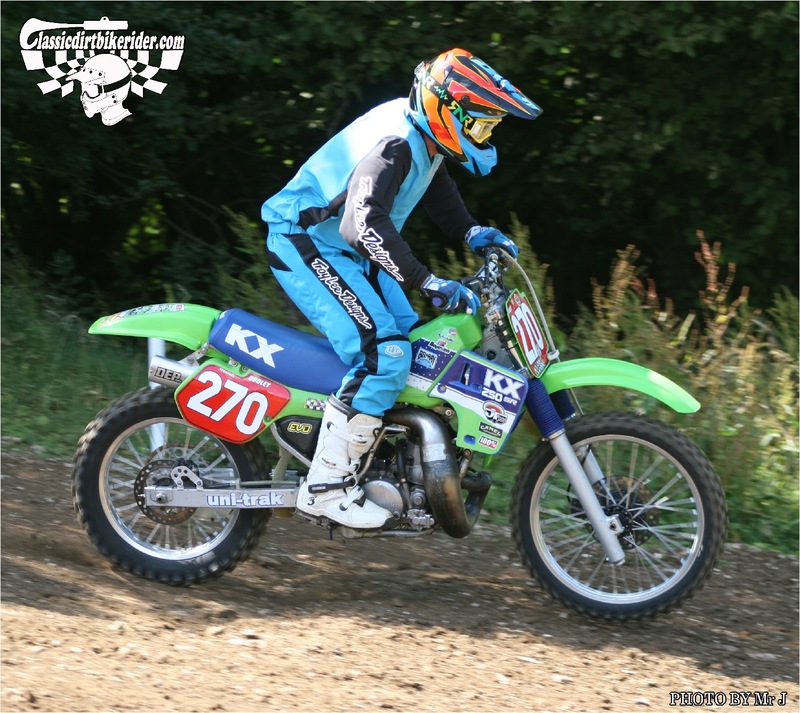 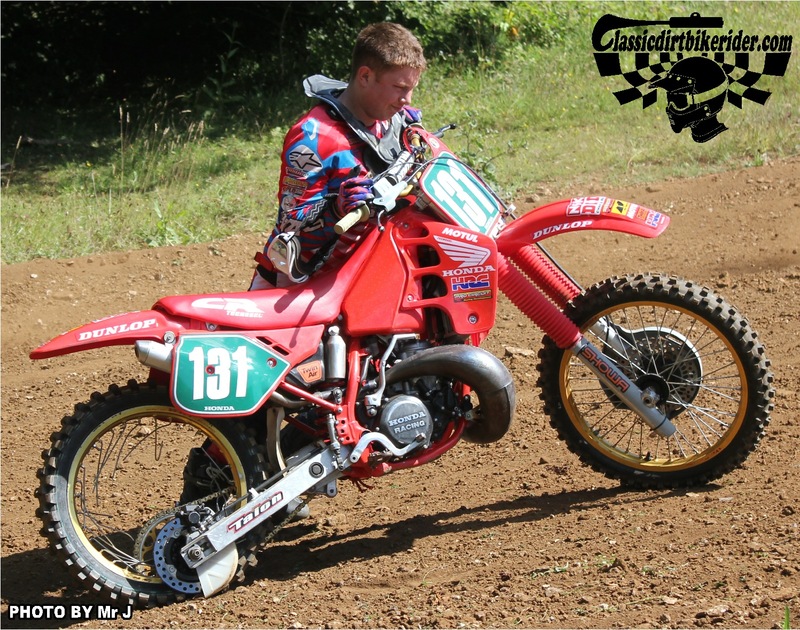 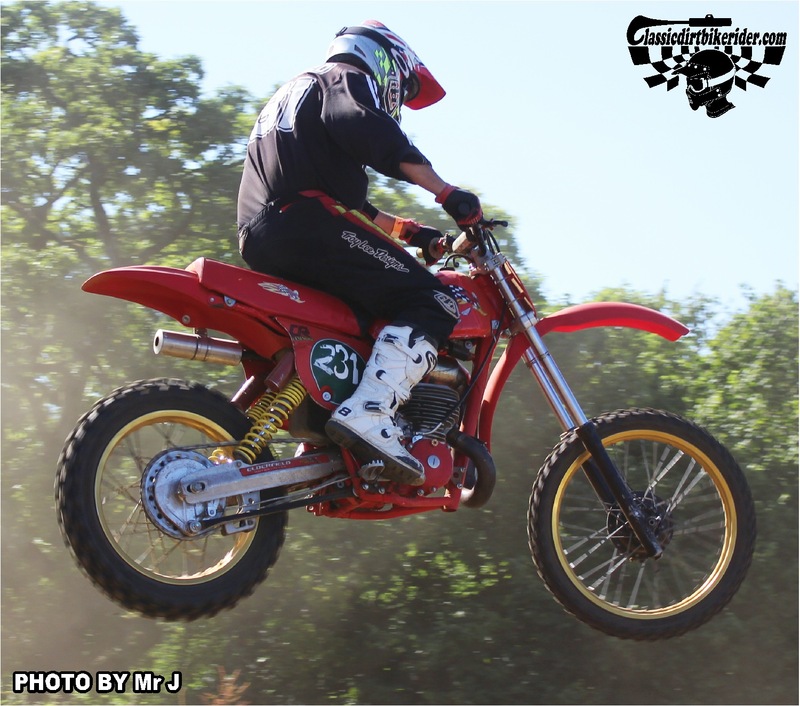 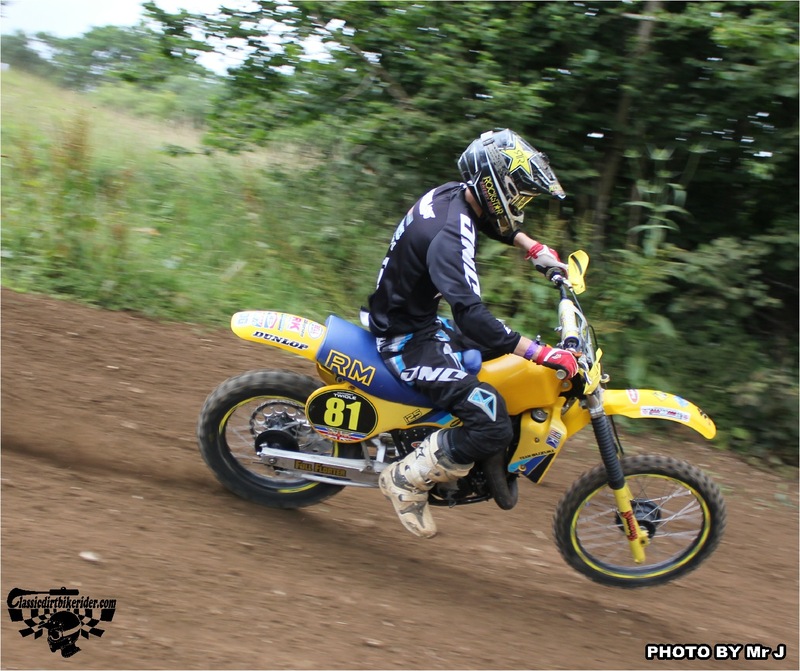 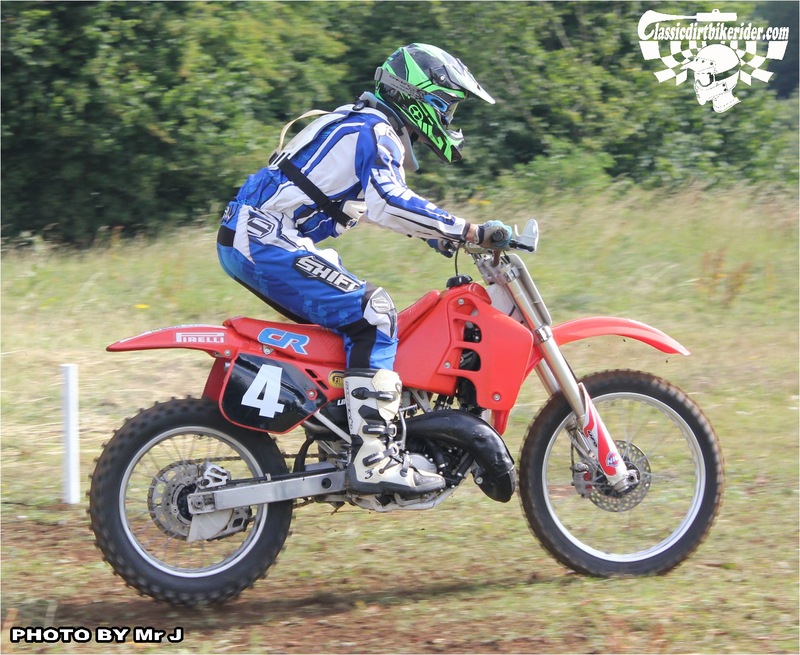 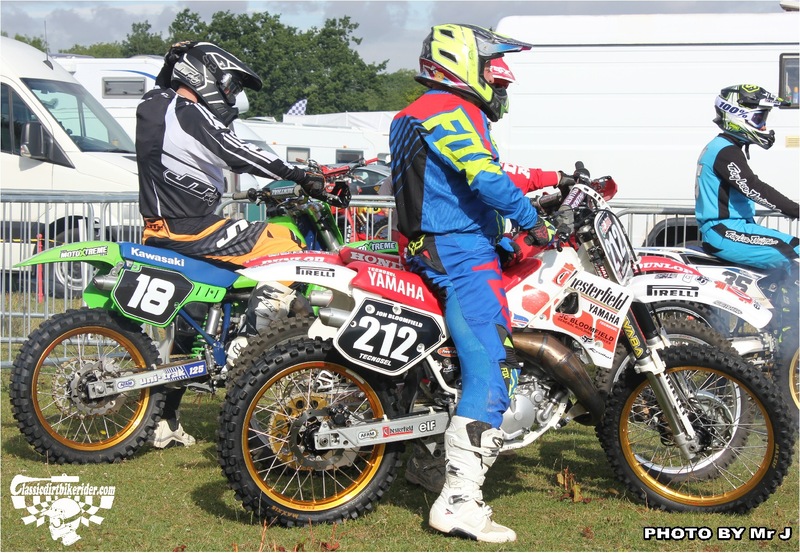 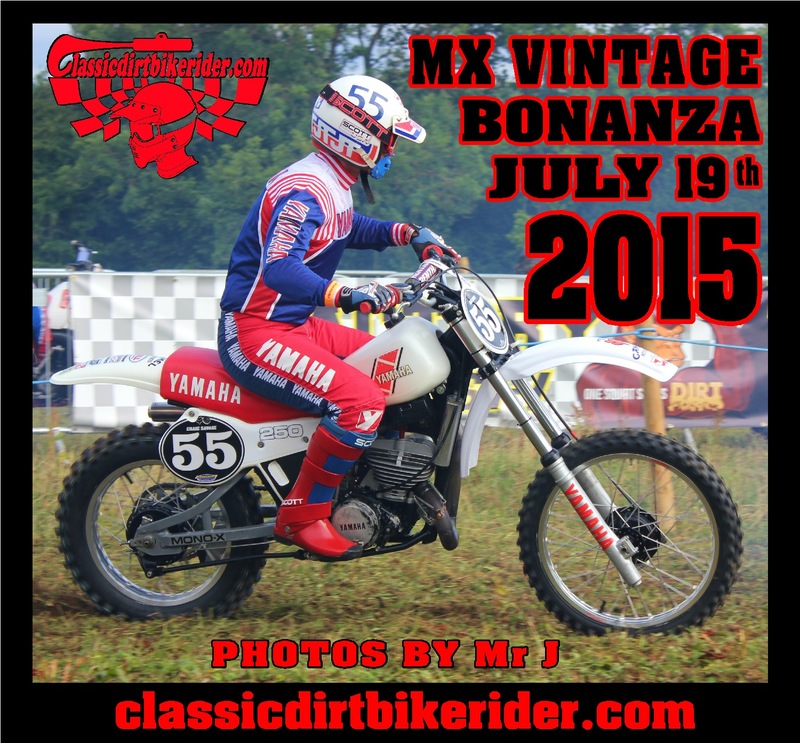 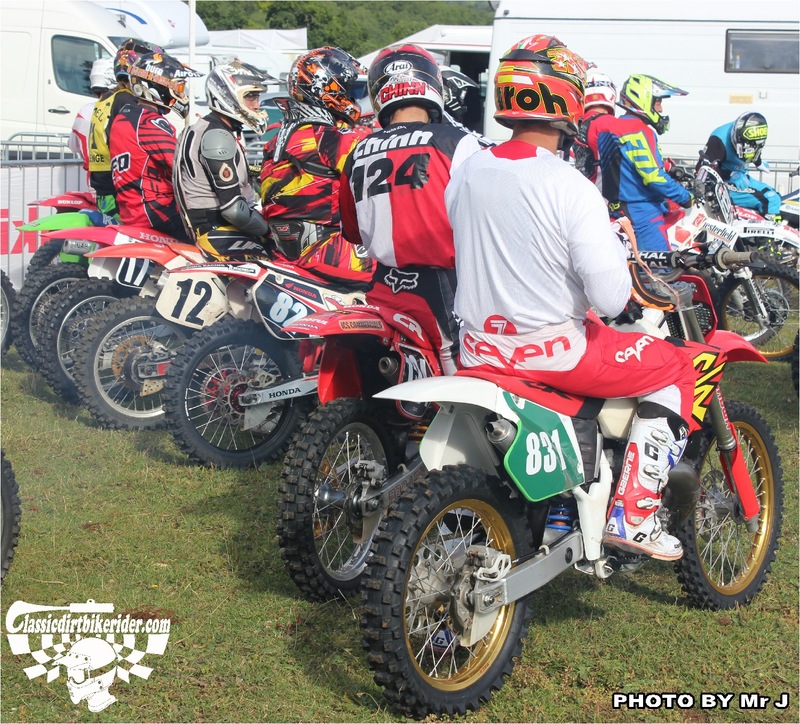 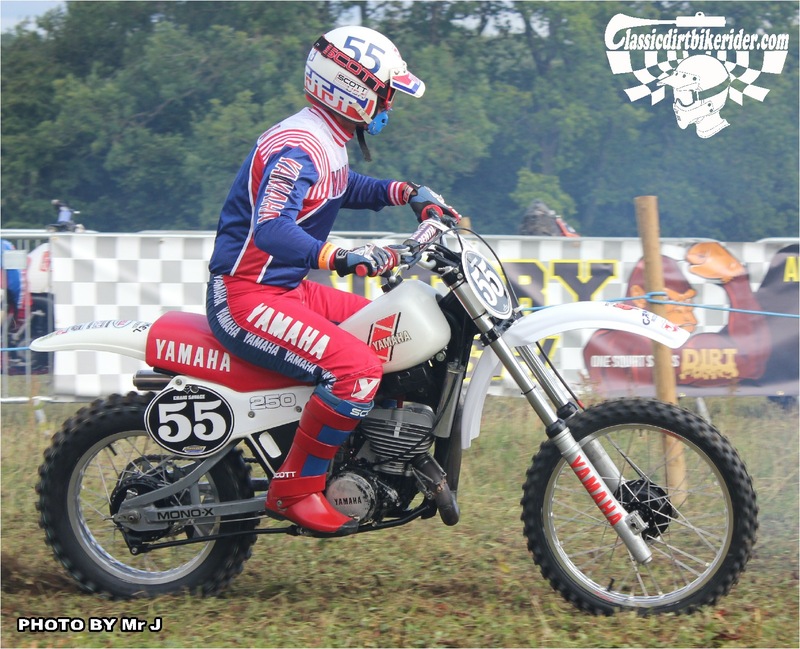 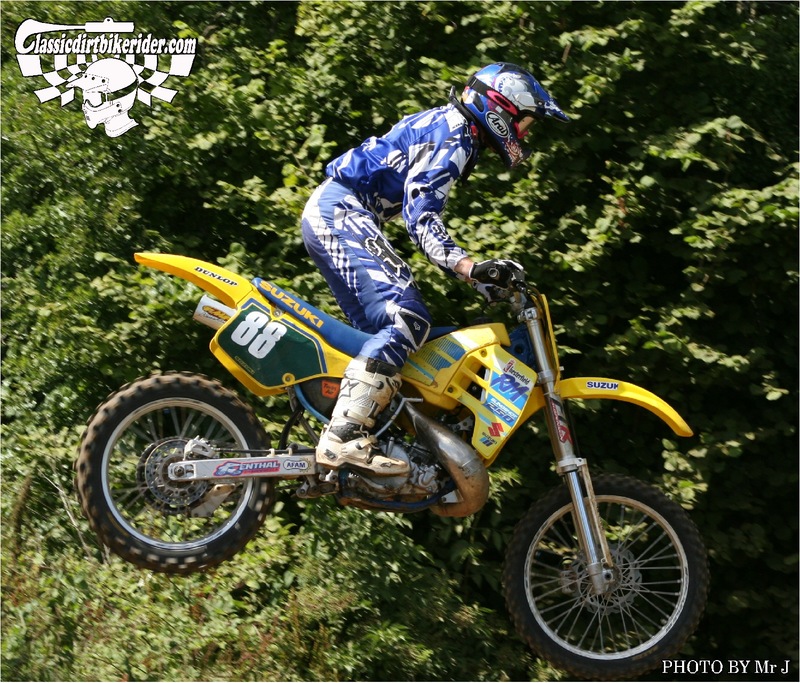 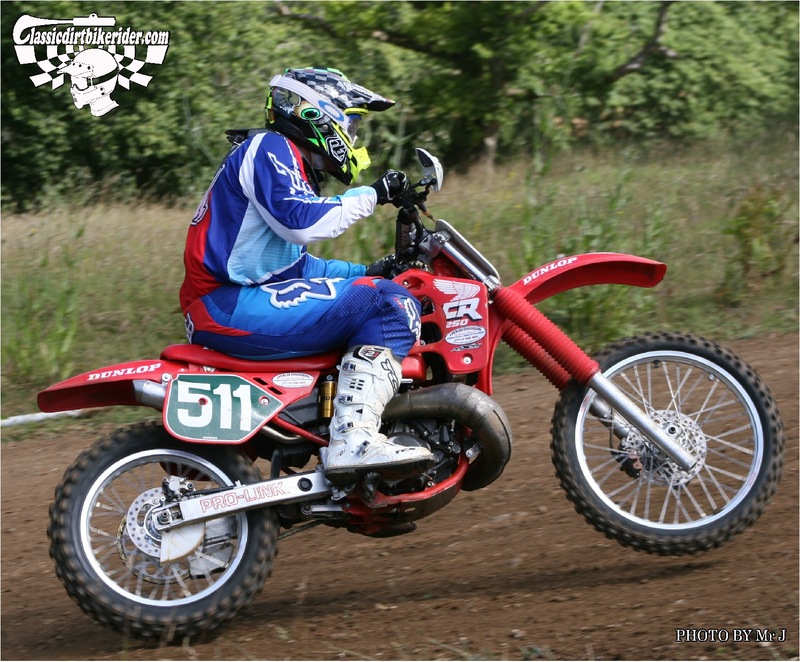 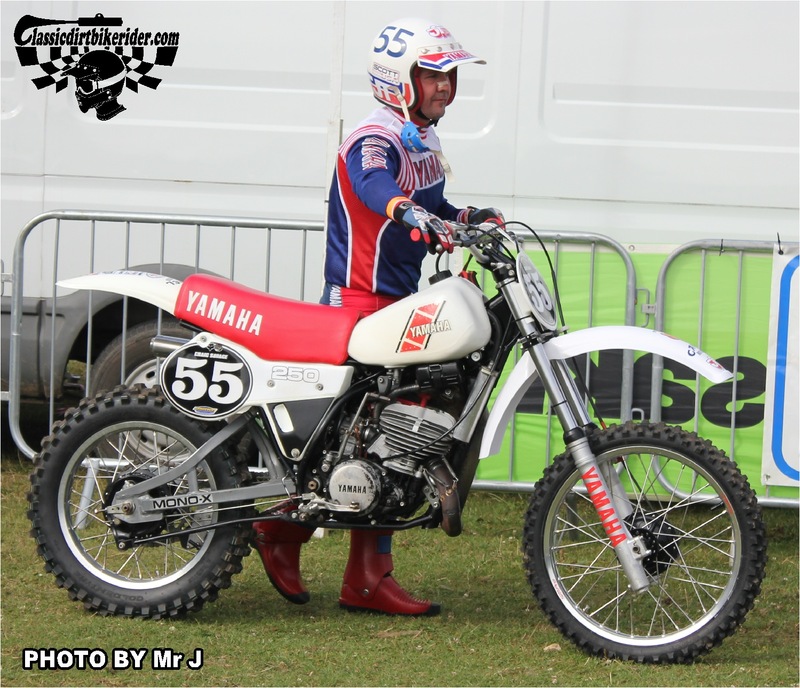 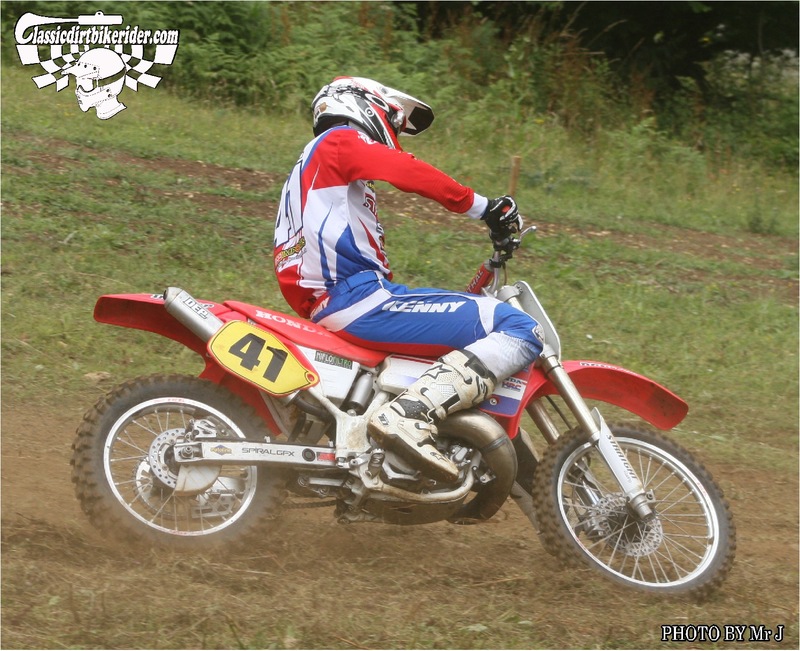 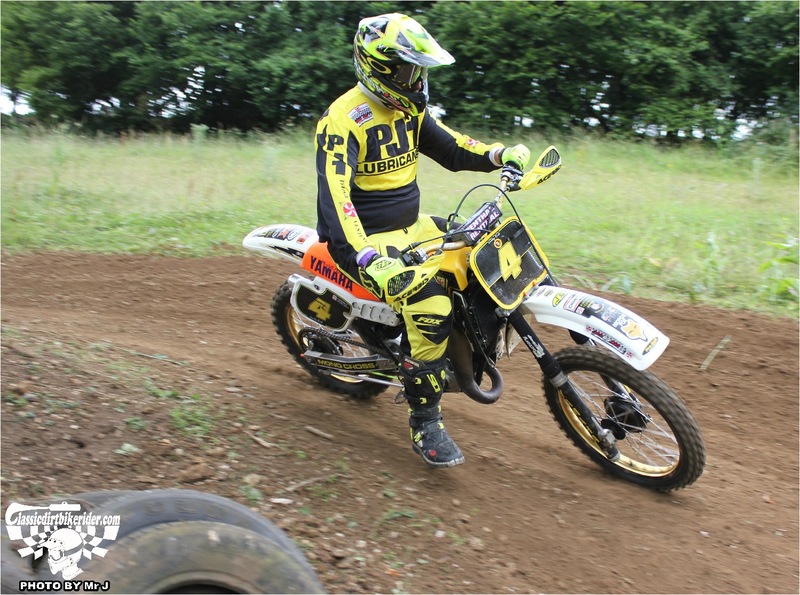 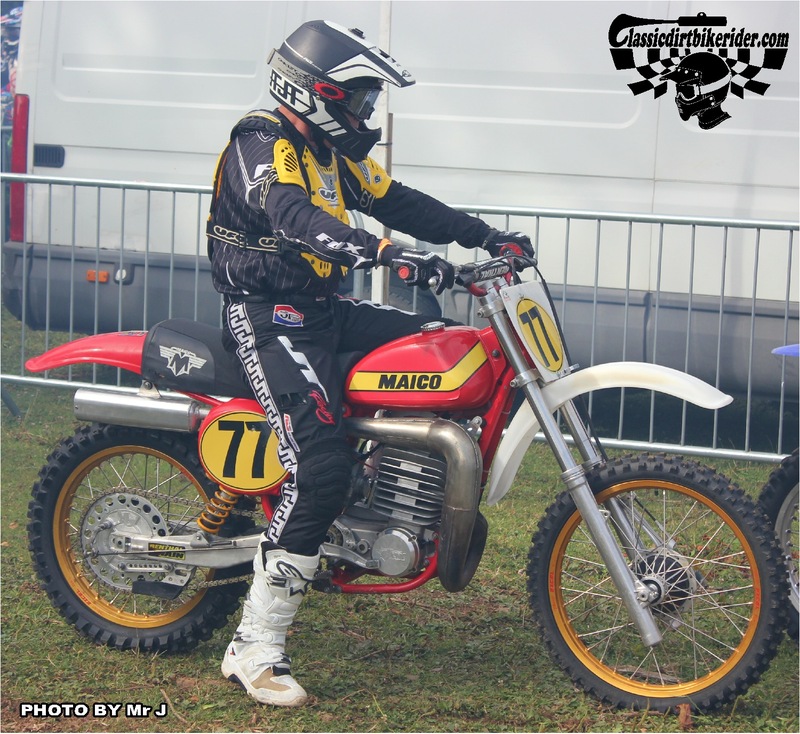 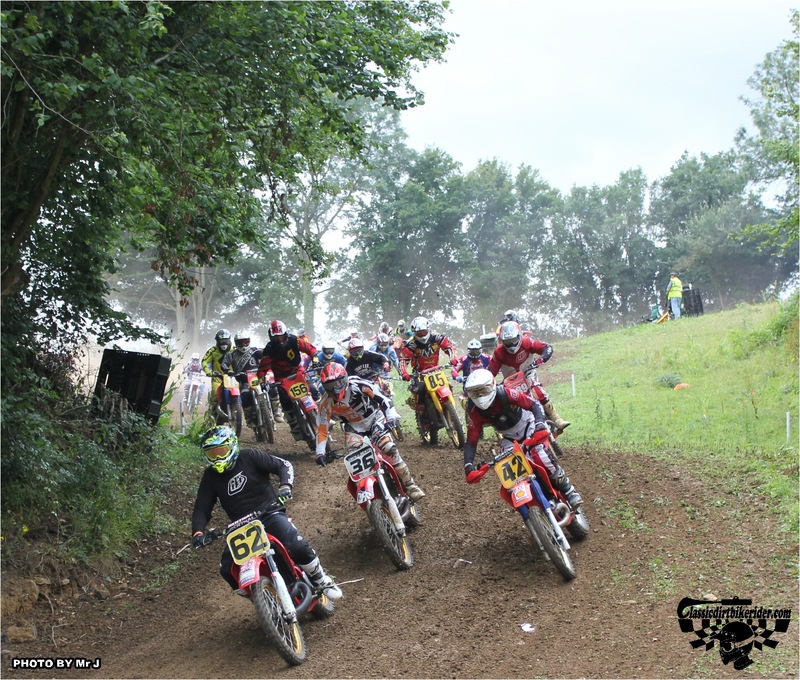 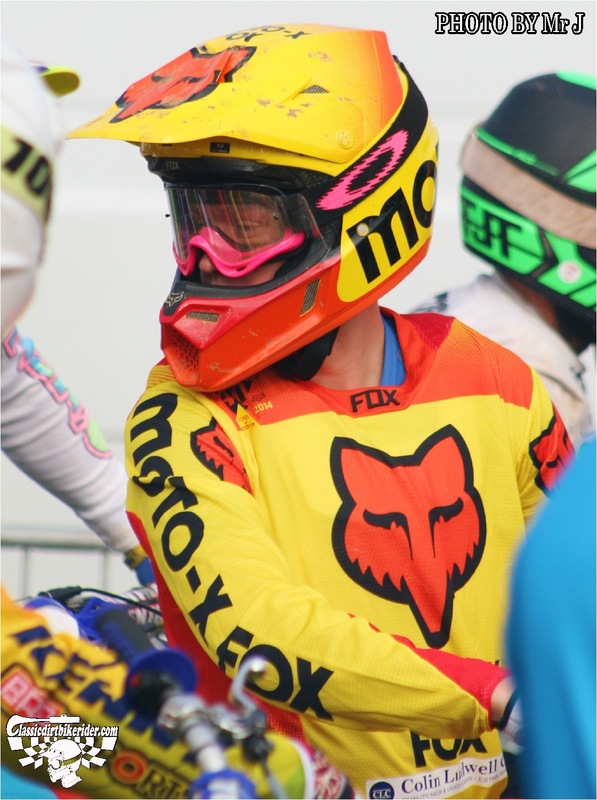 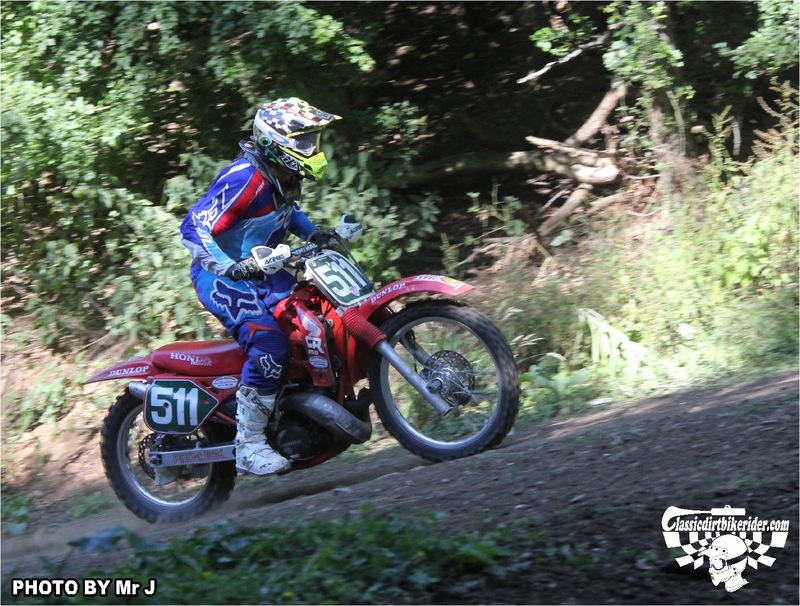 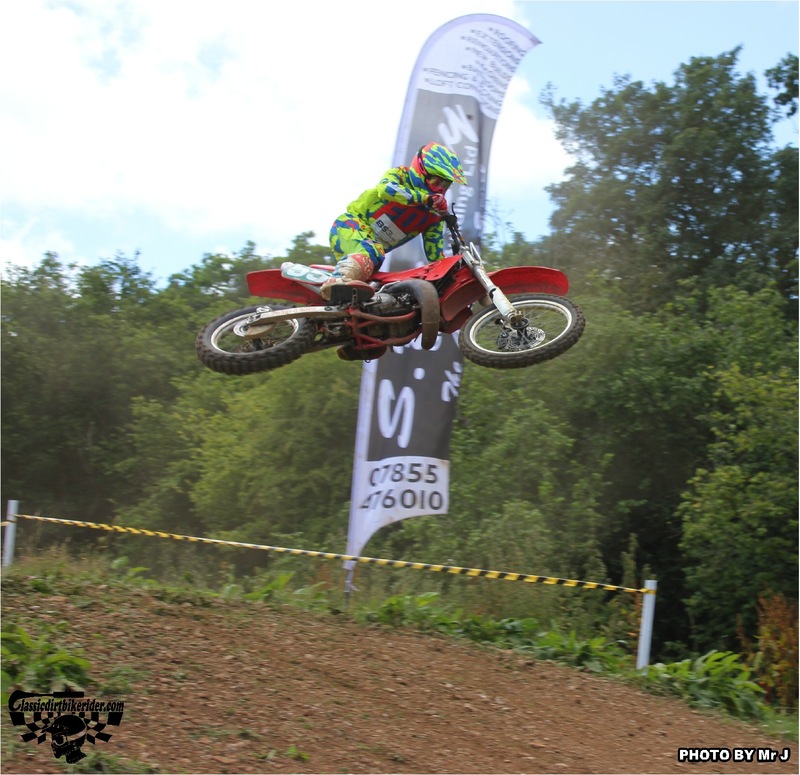 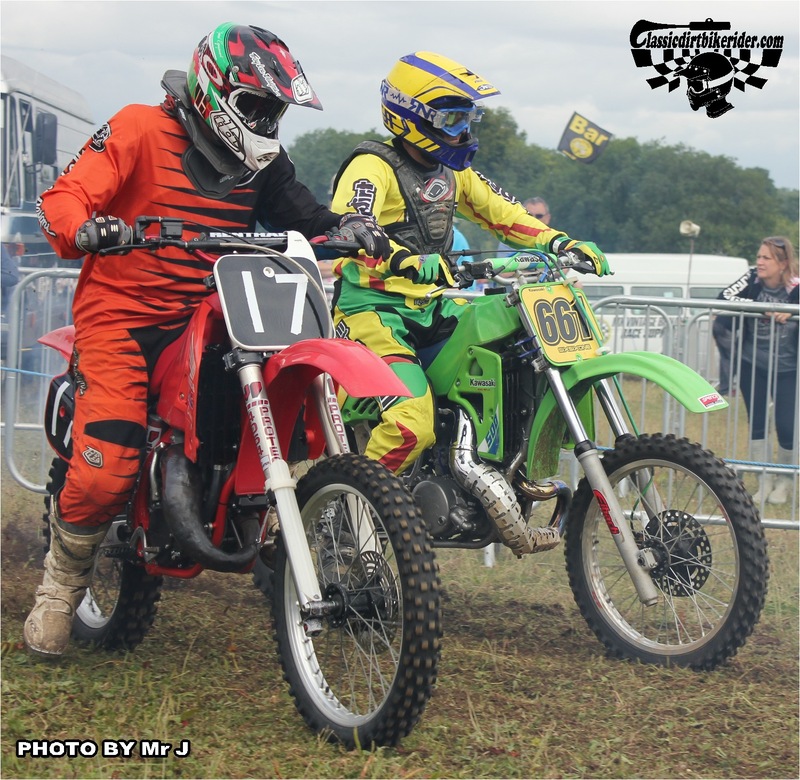 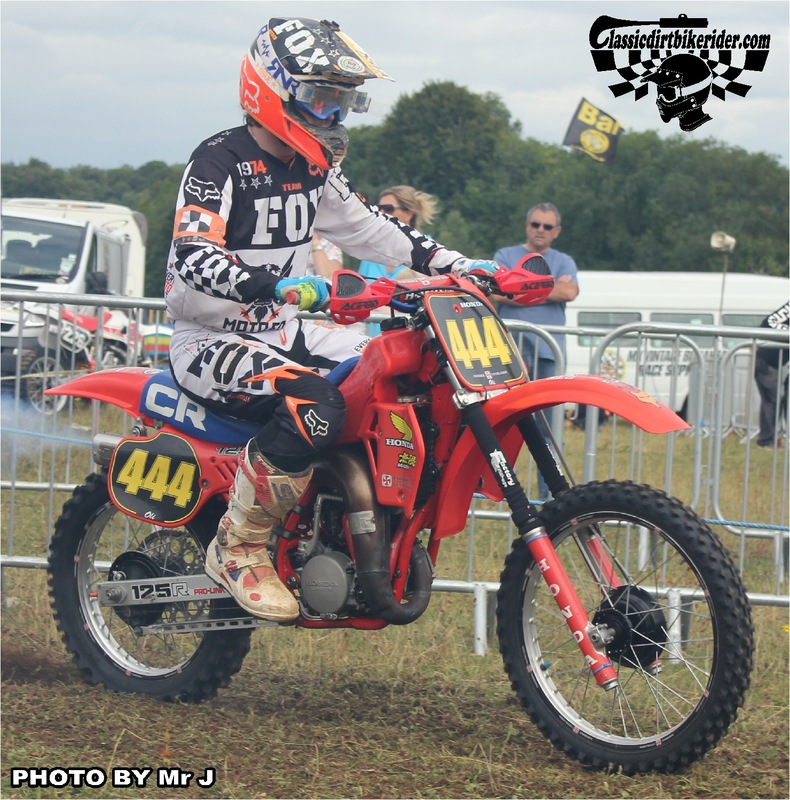 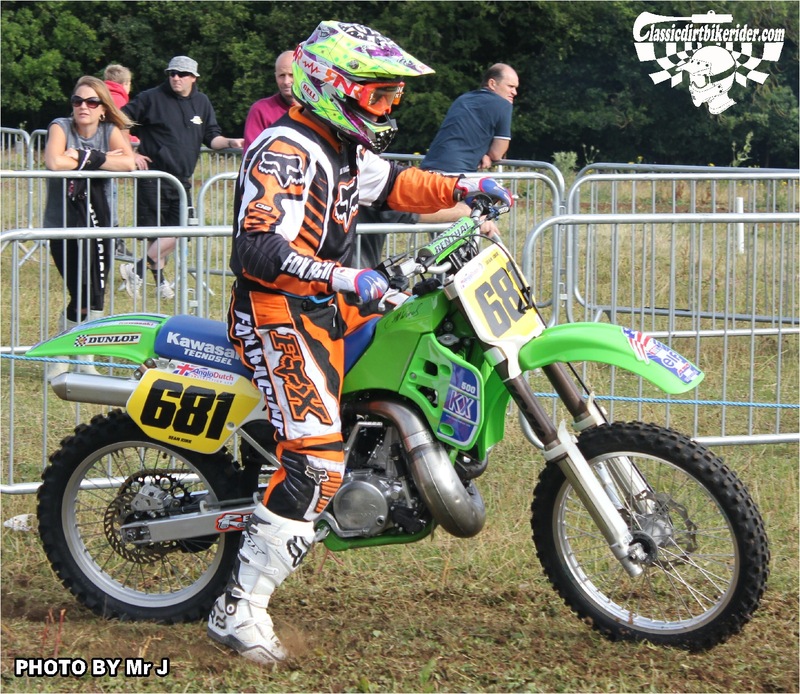 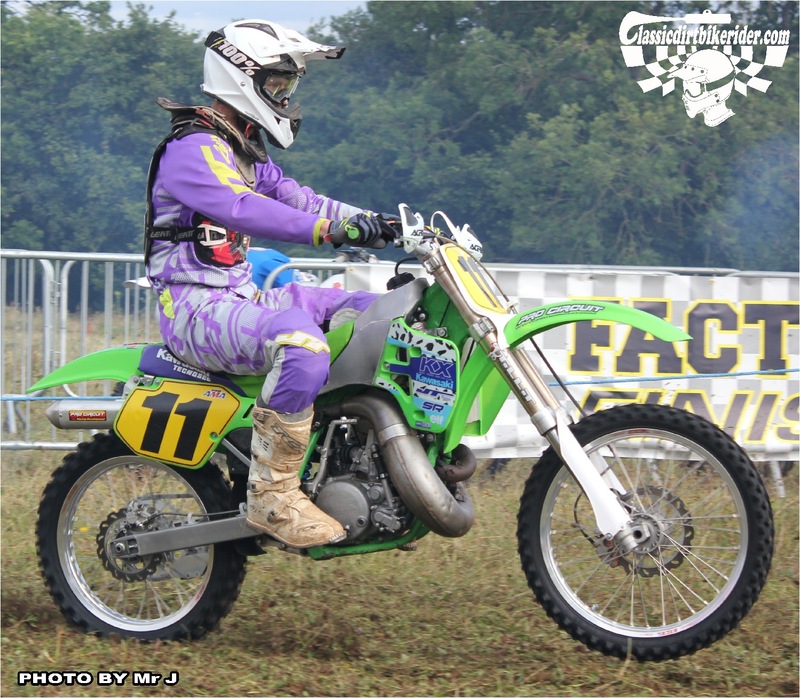 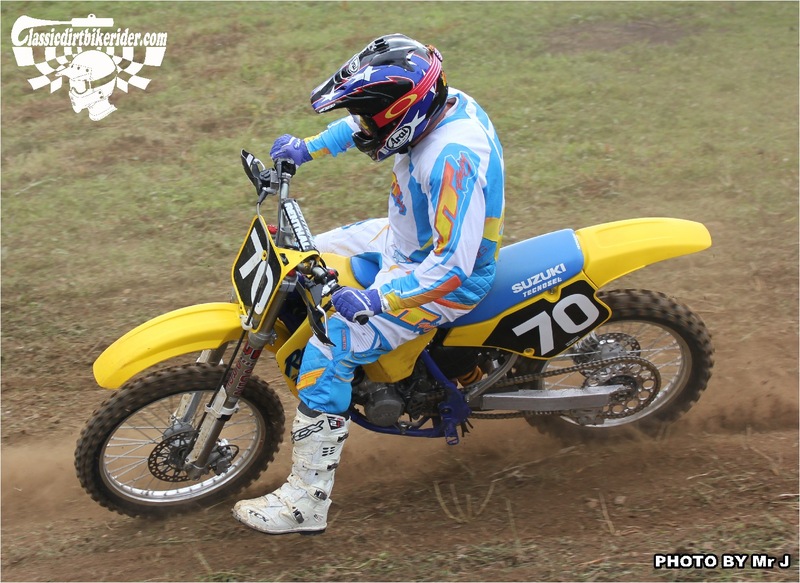 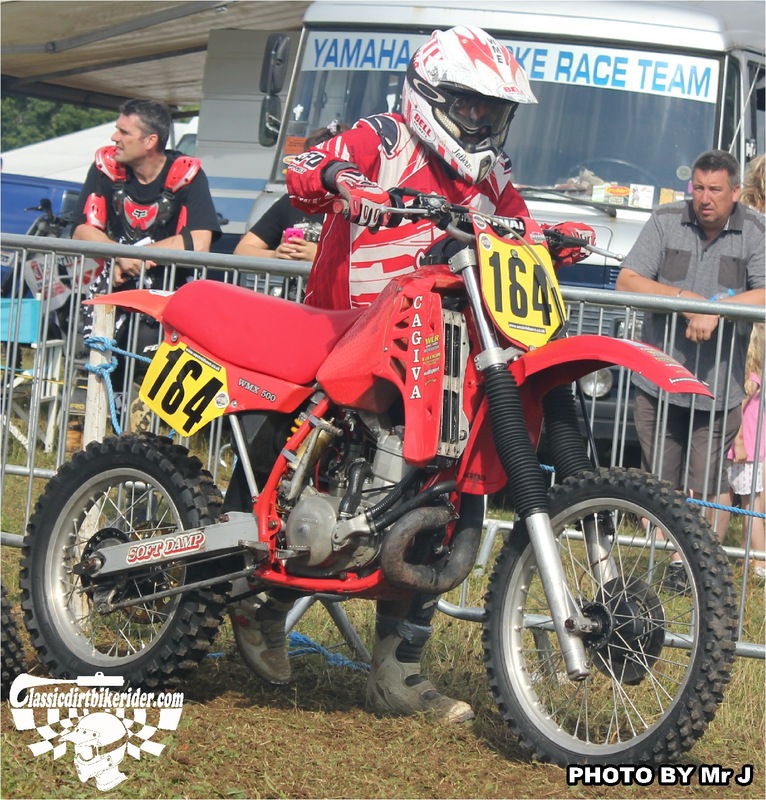 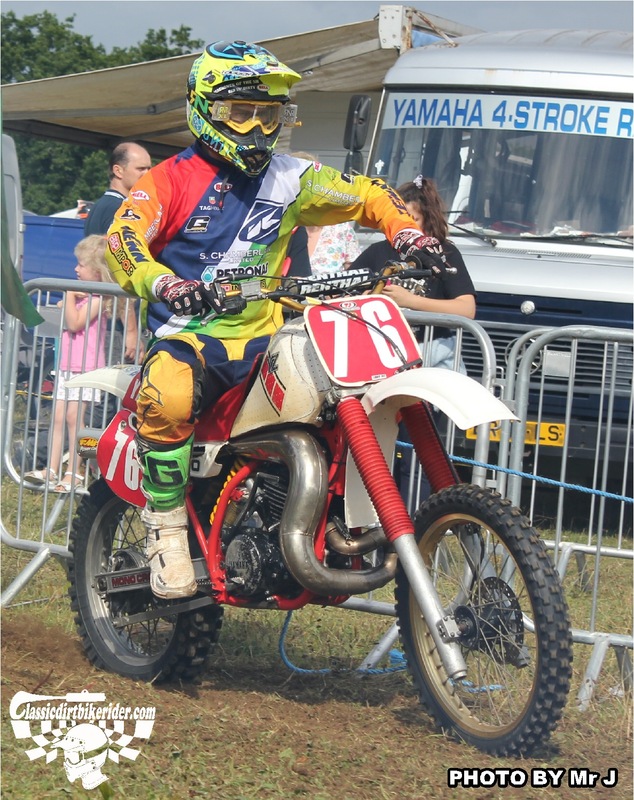 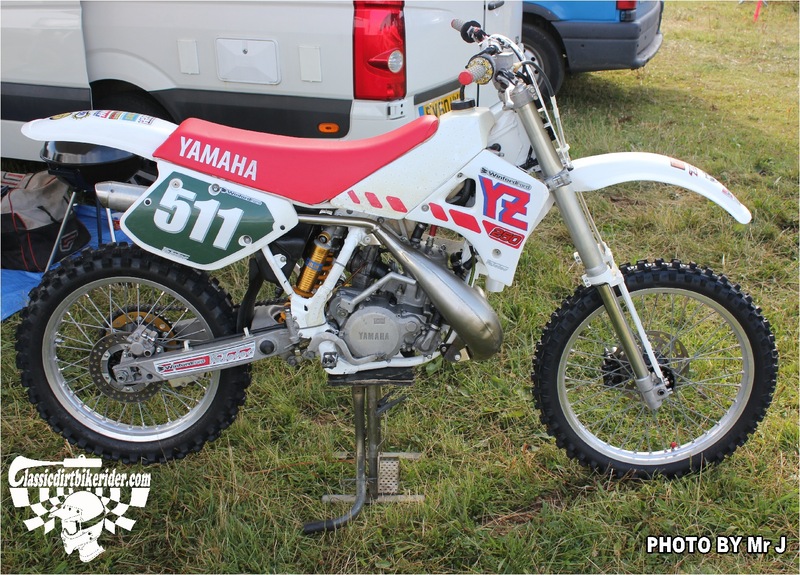 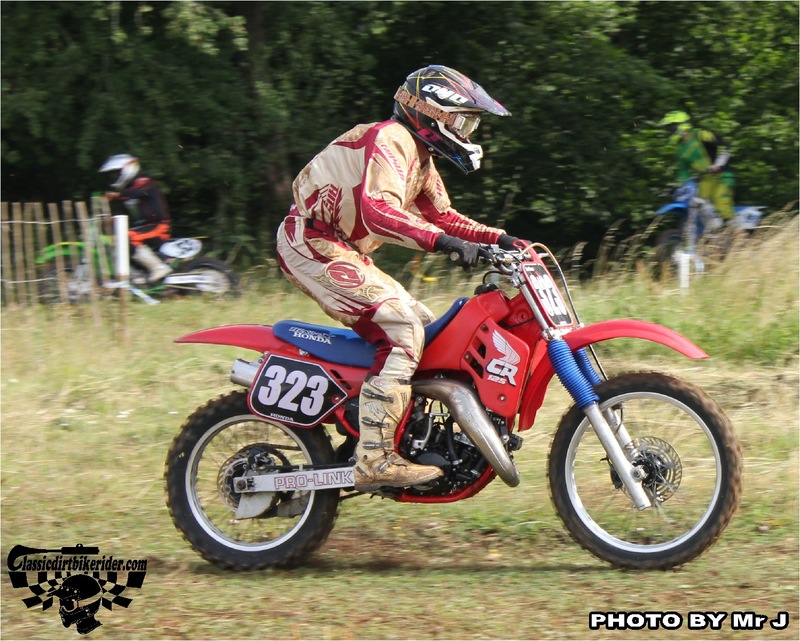 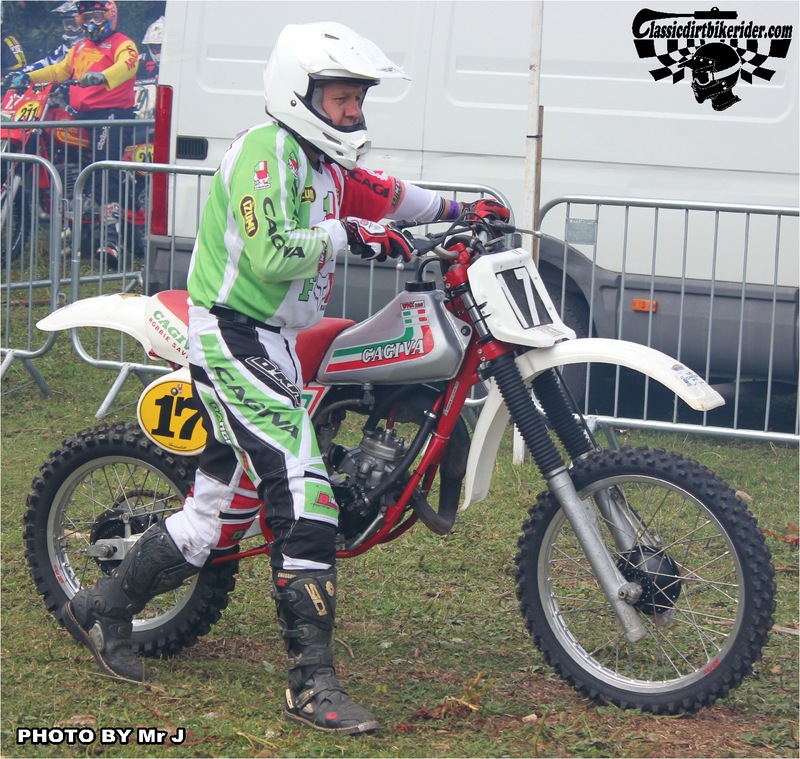 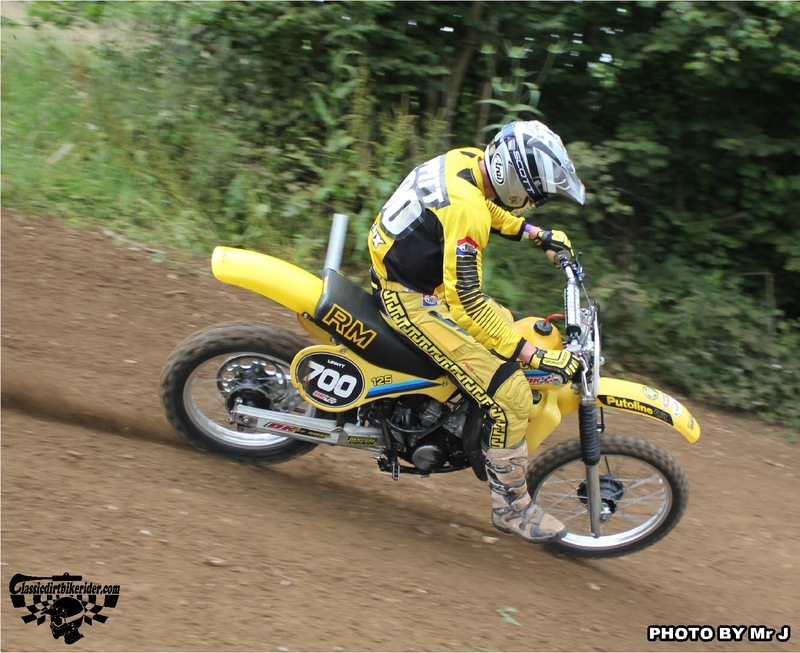 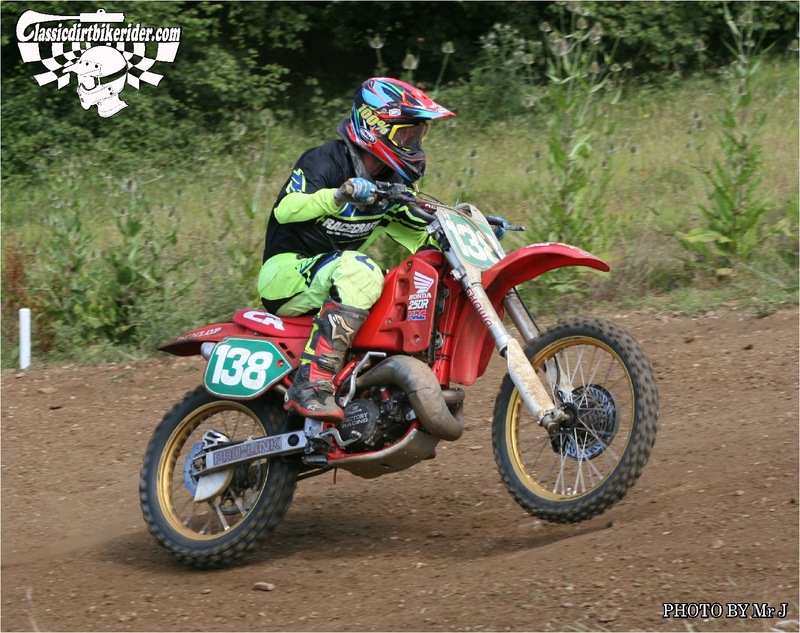 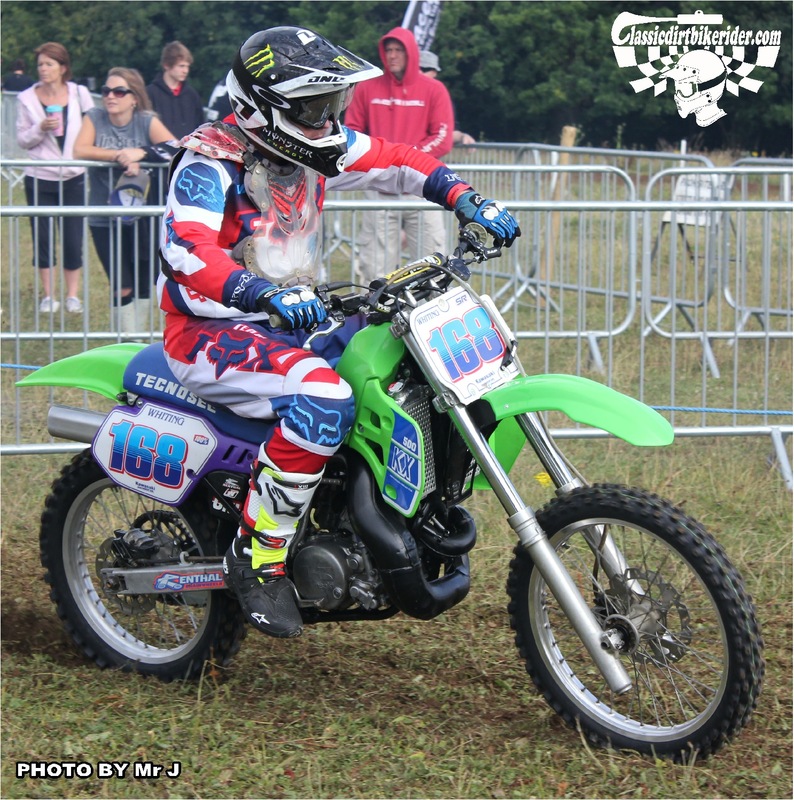 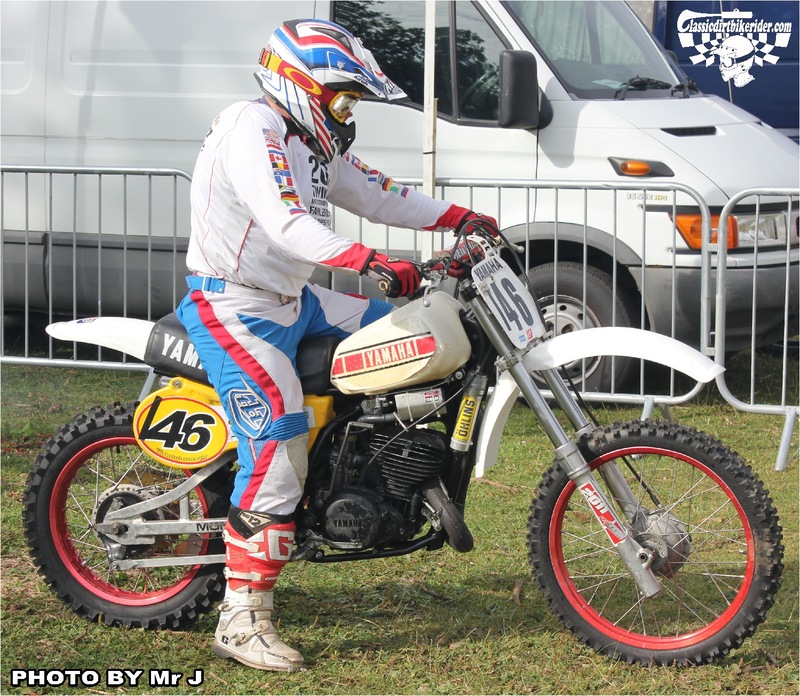 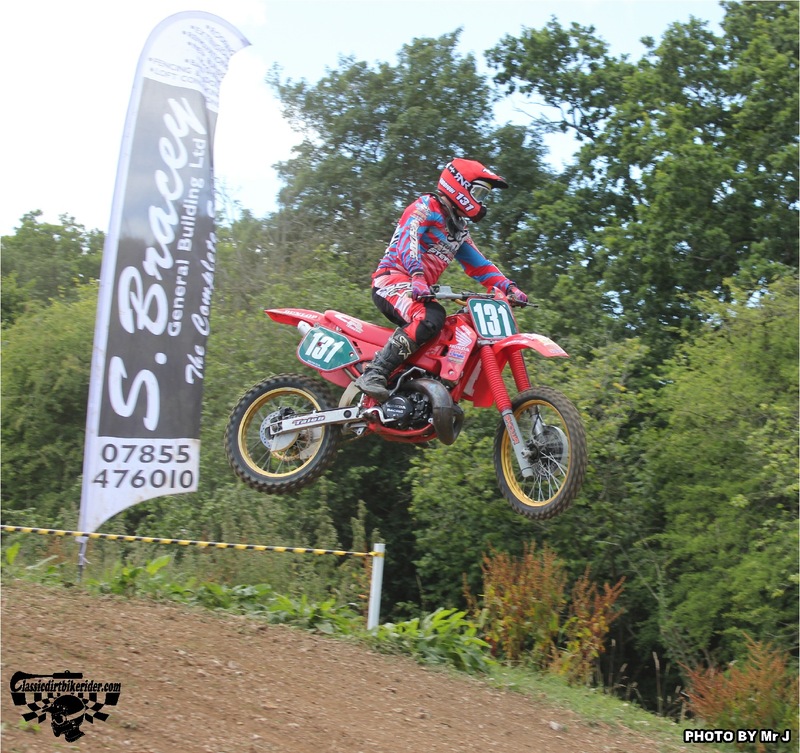 MX VINTAGE BONANZA ROUND 4 PHOTOS, FORD MOTO PARK, JULY 19th 2015……The combination of a hot summers day & what can only be described as one of the best motocross tracks around, produced some fantastic racing. 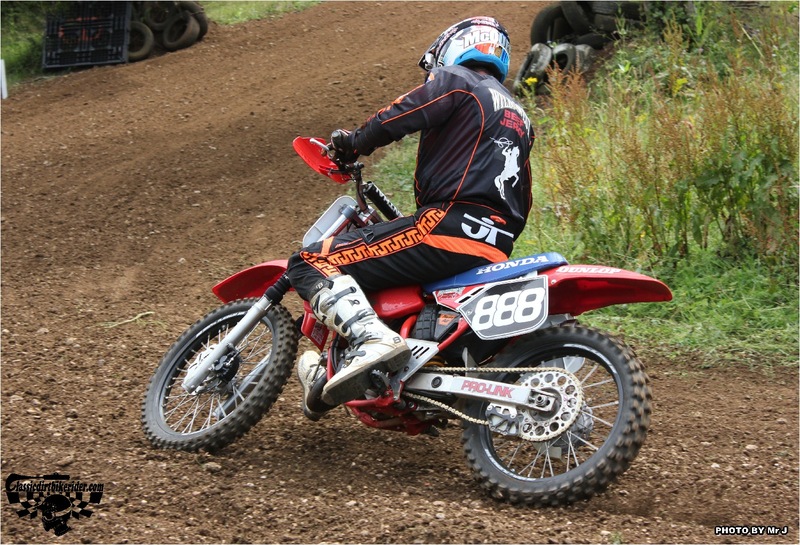 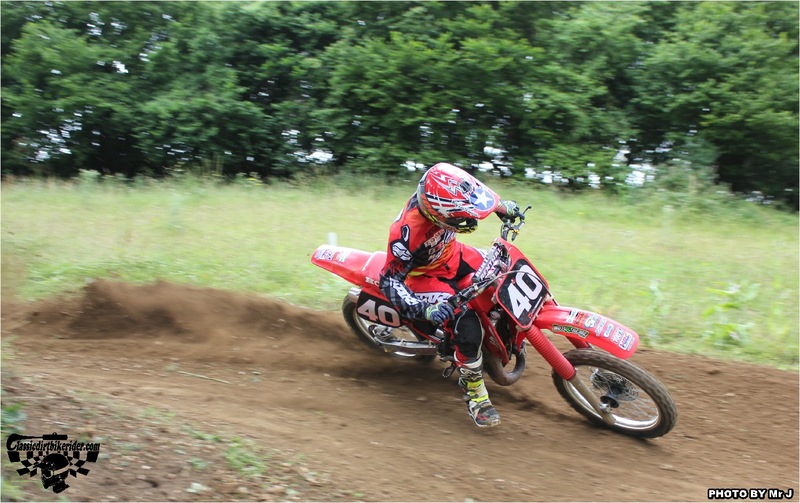 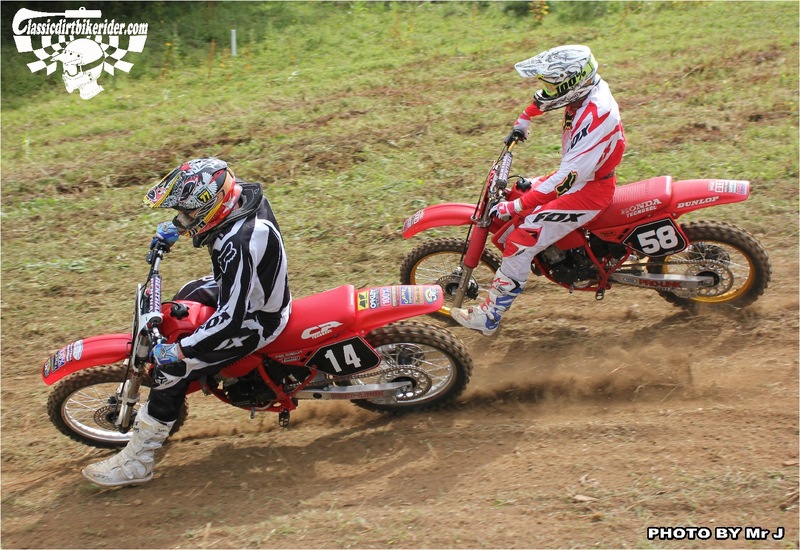 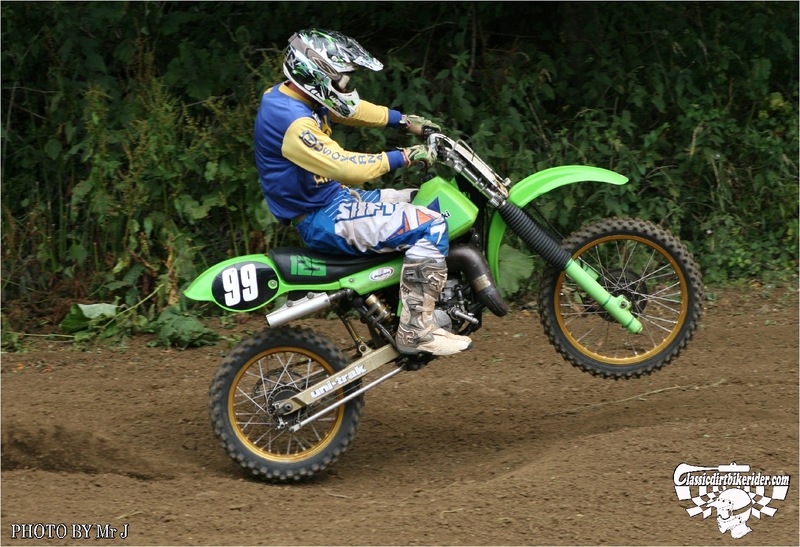 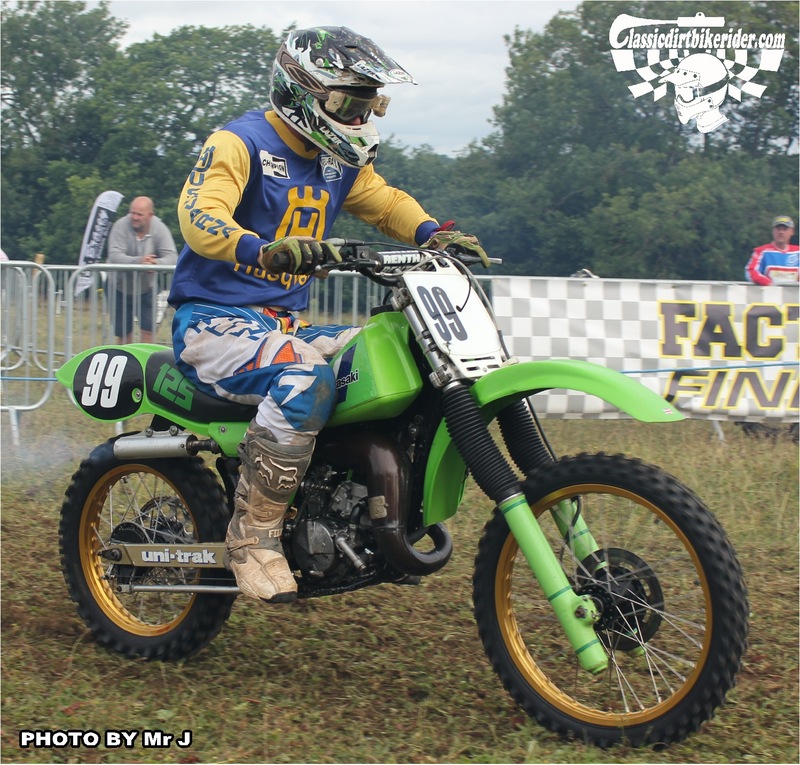 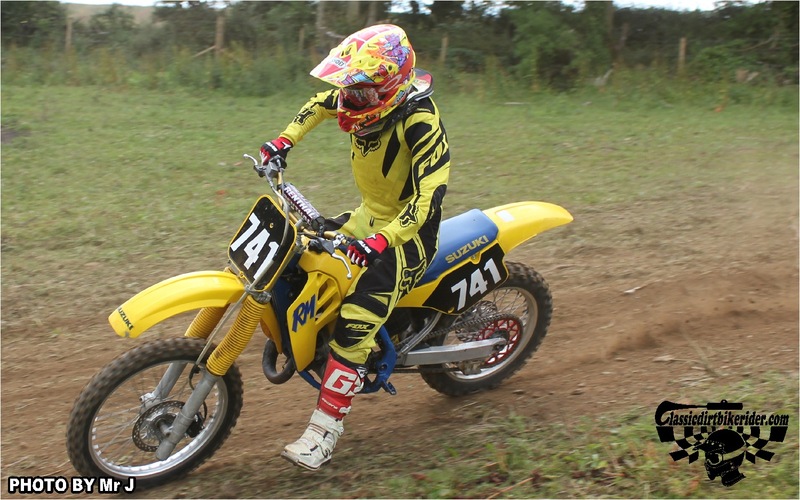 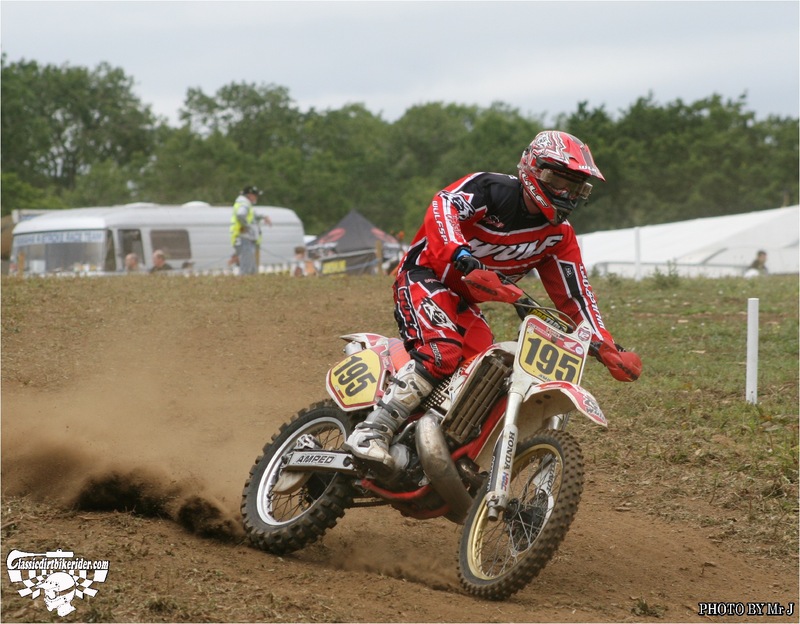 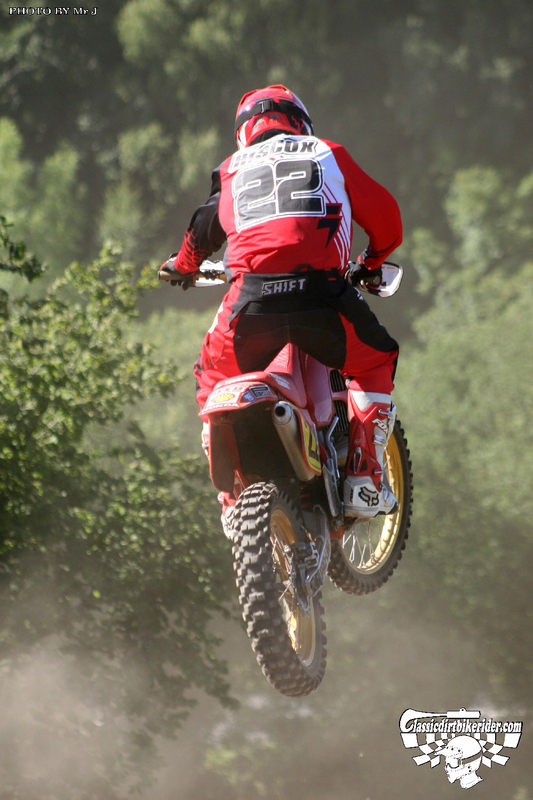 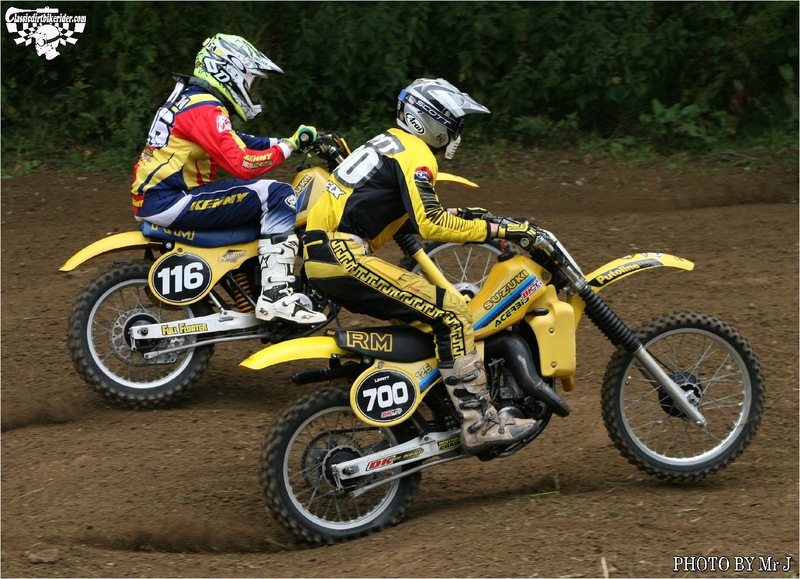 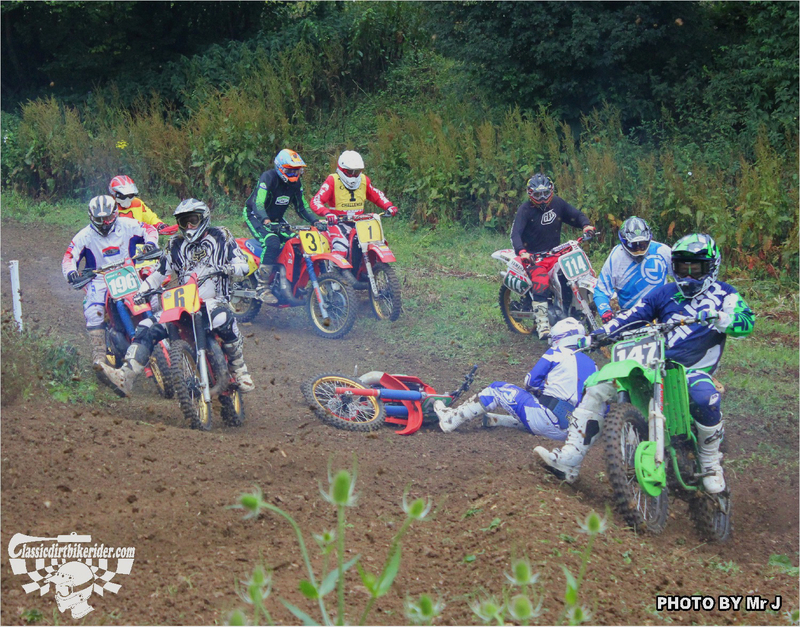 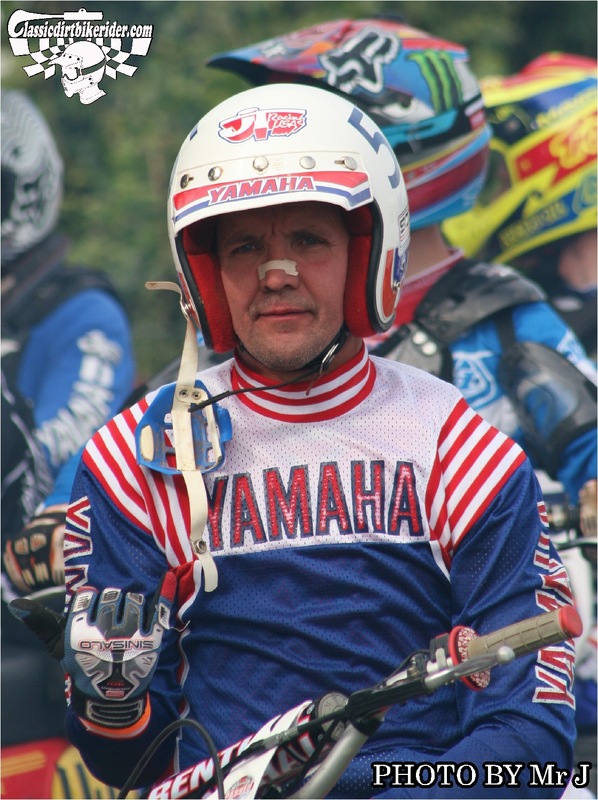 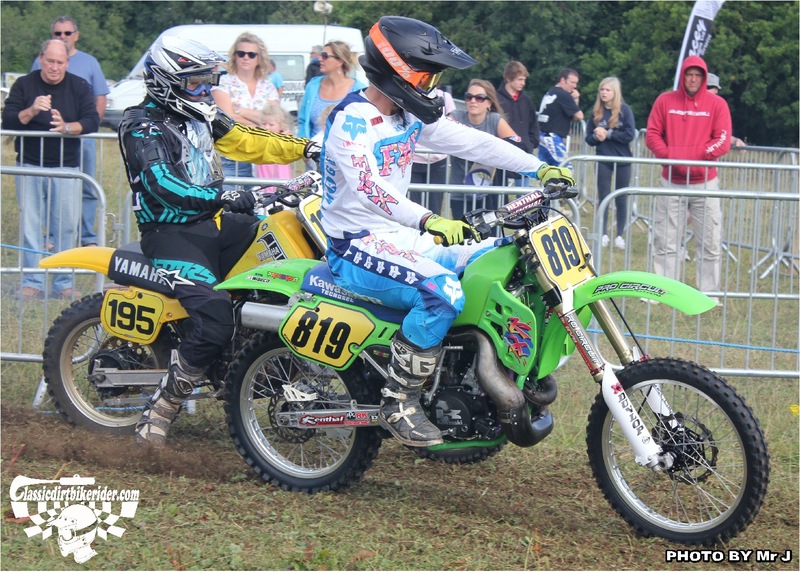 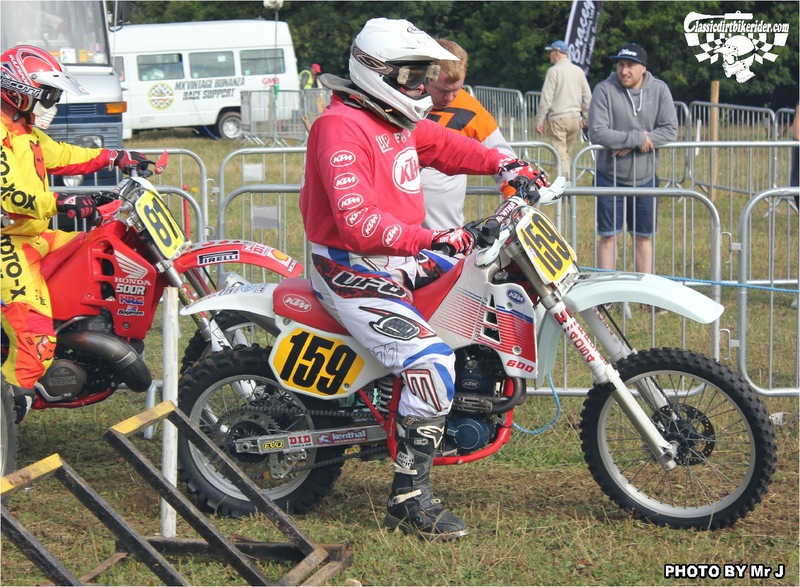 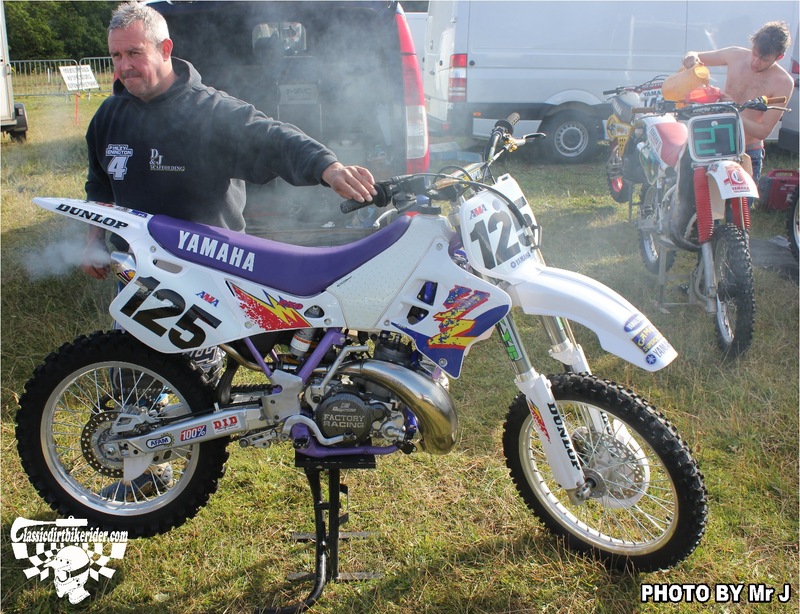 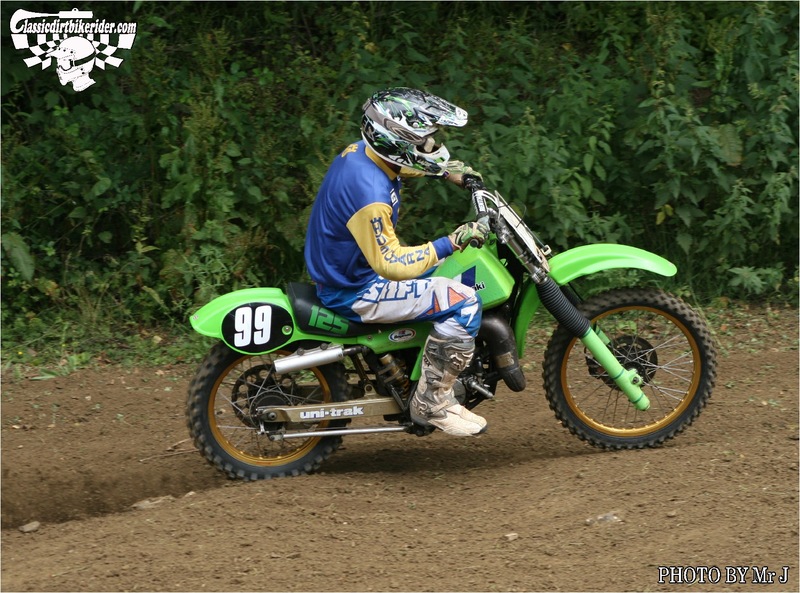 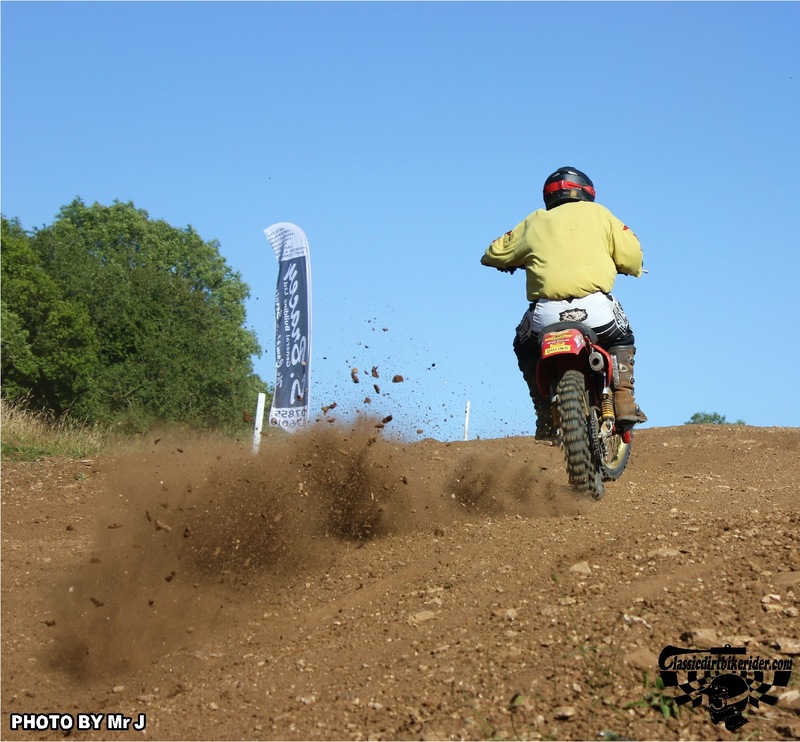 If you have not raced at Ford Moto Park near Chippenham, then you have missed a real treat. 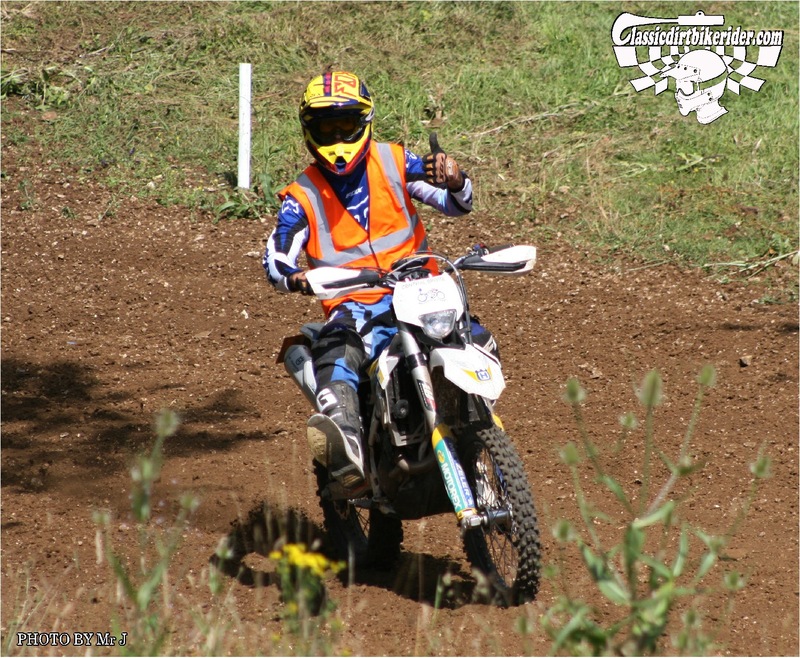 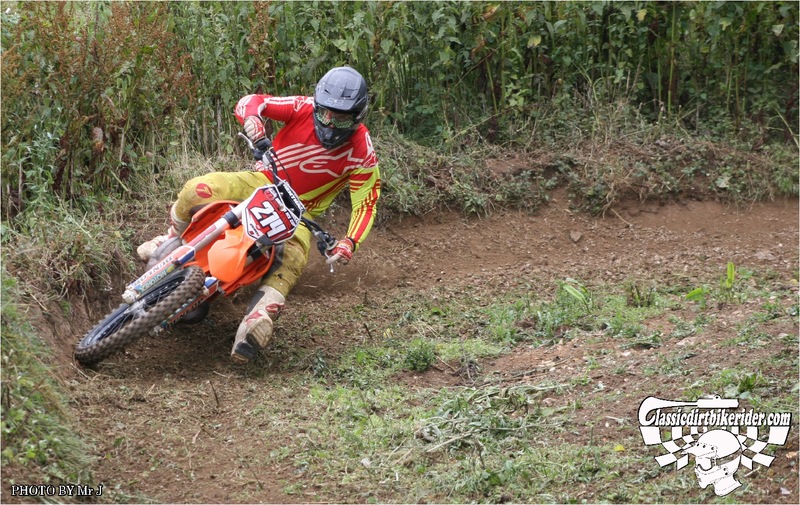 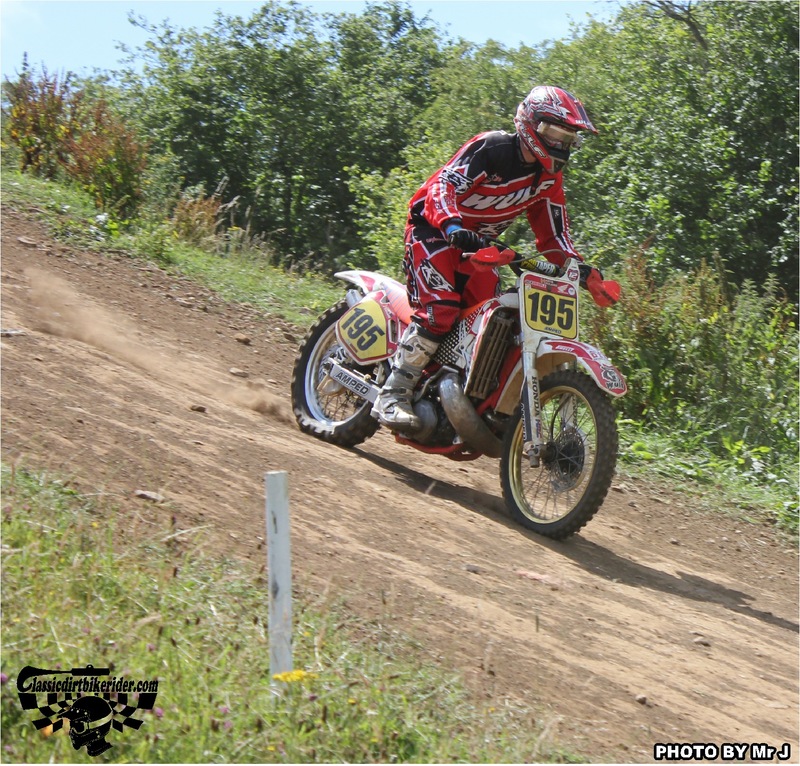 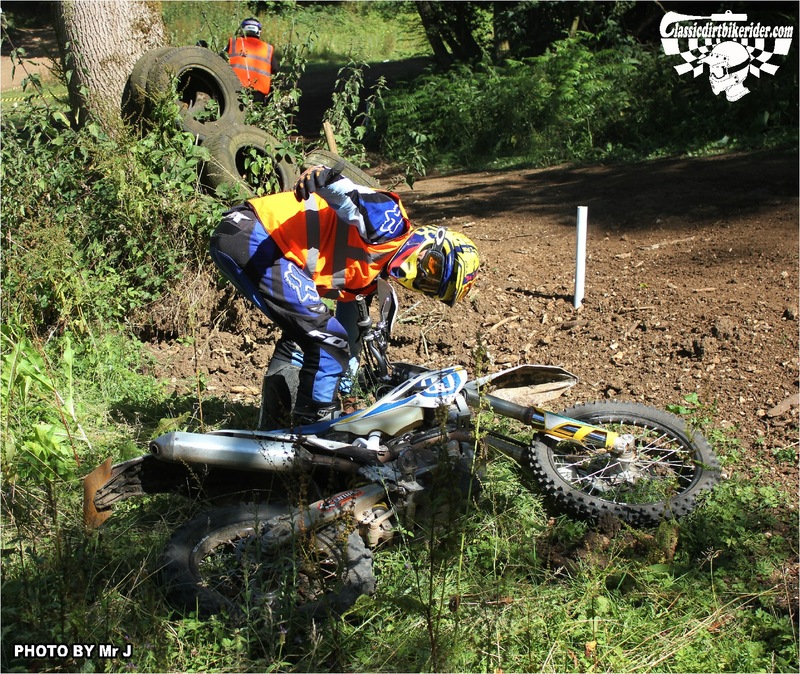 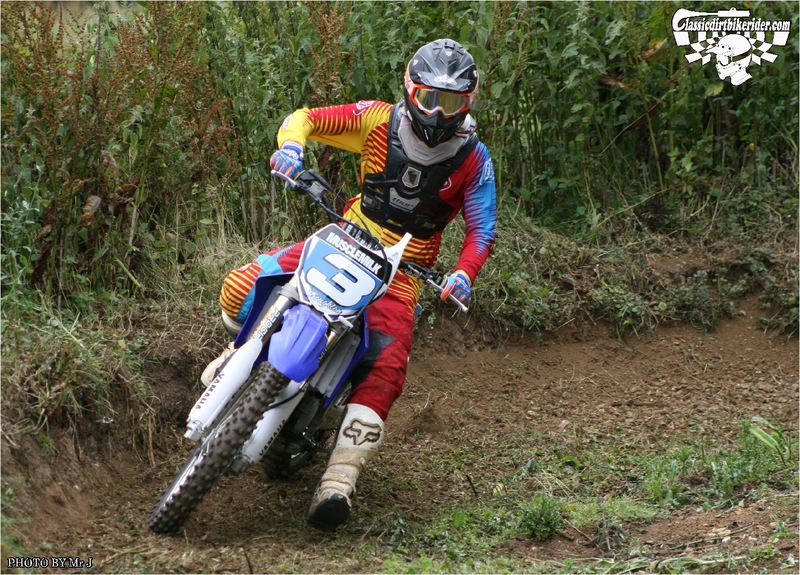 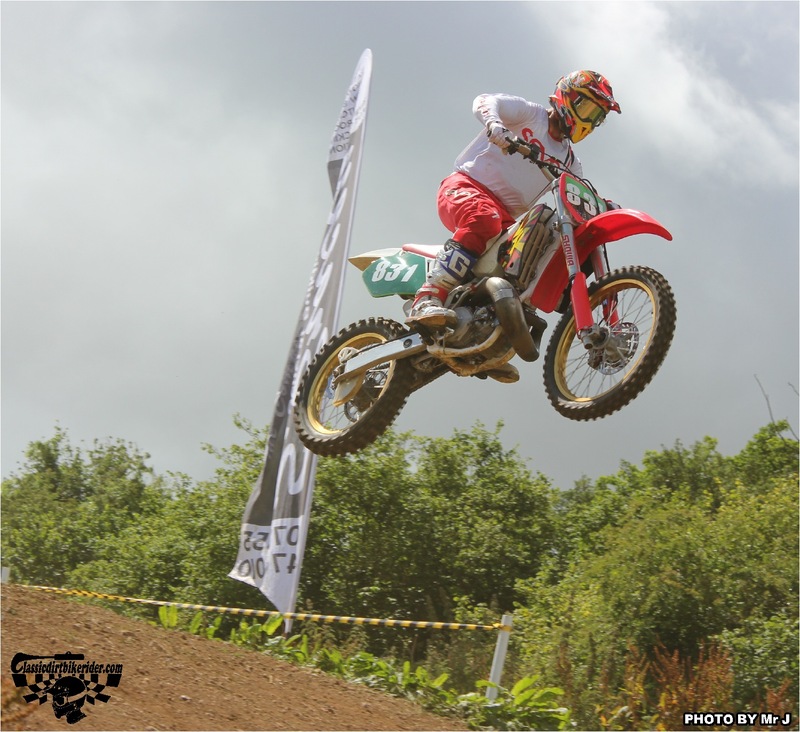 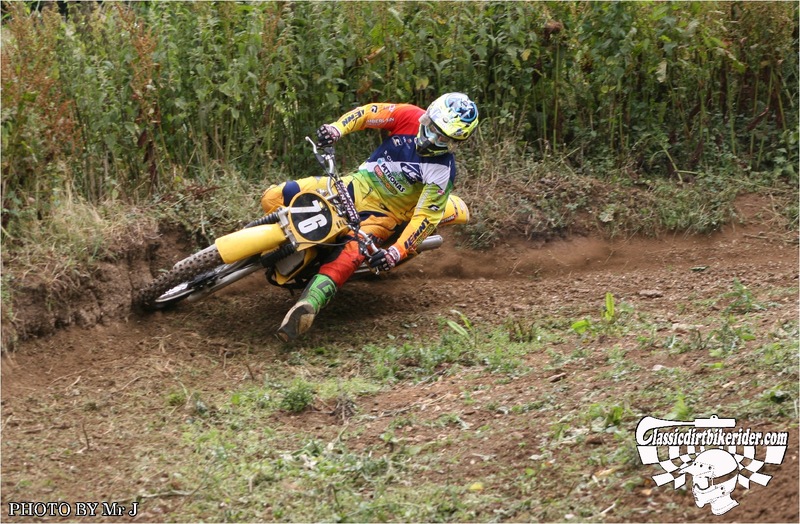 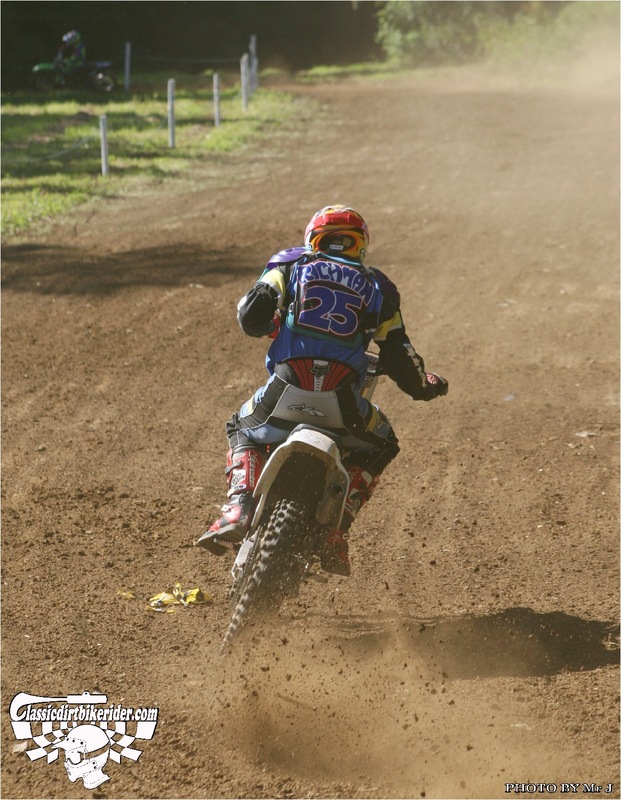 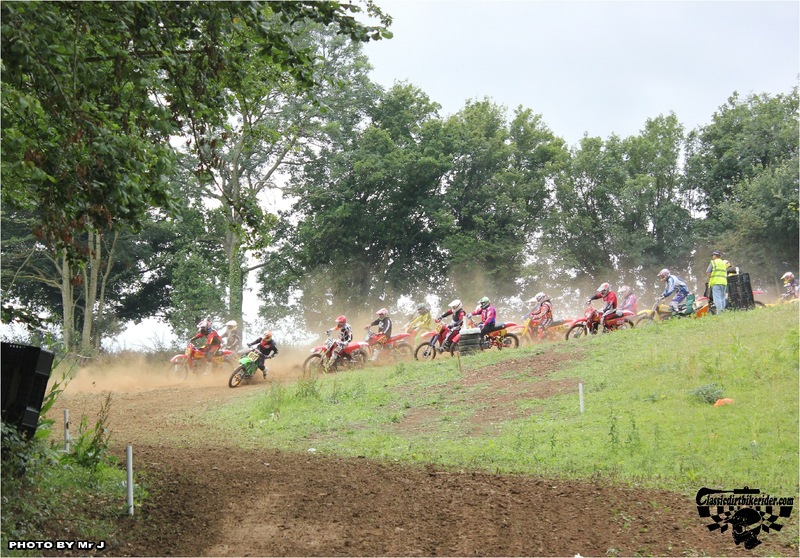 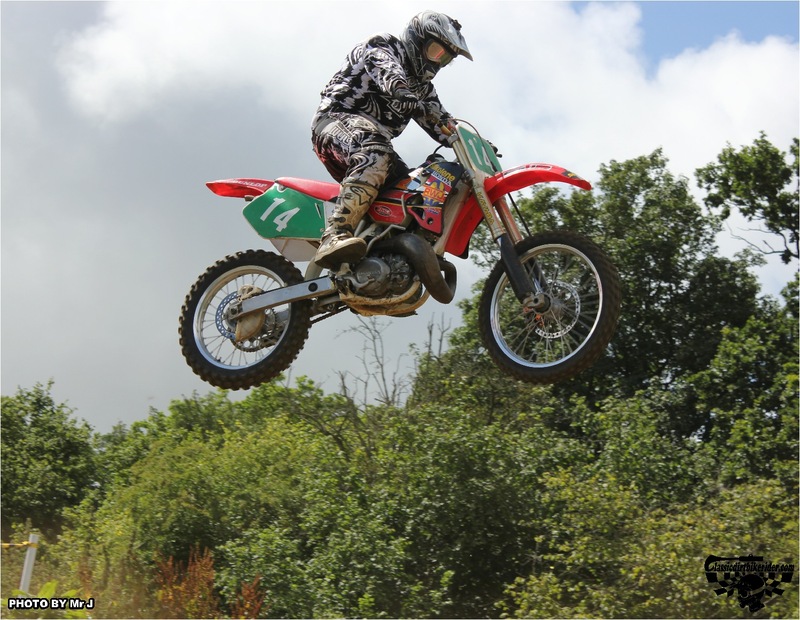 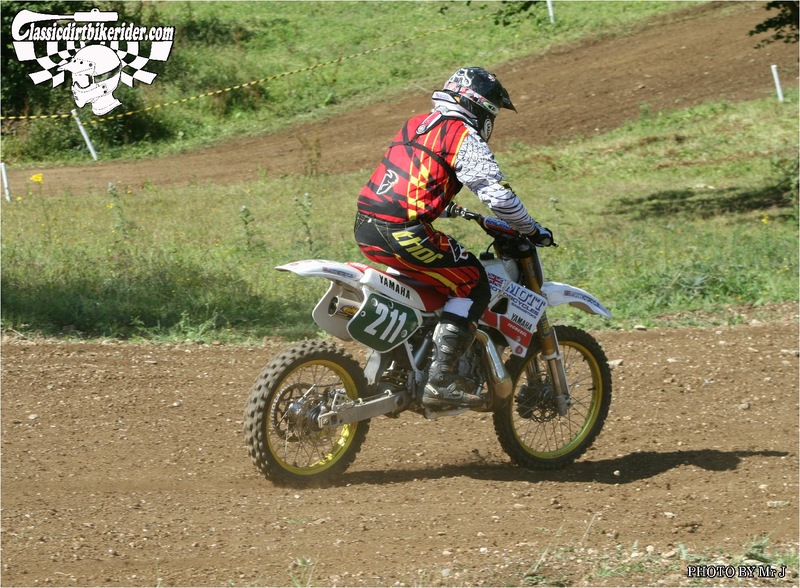 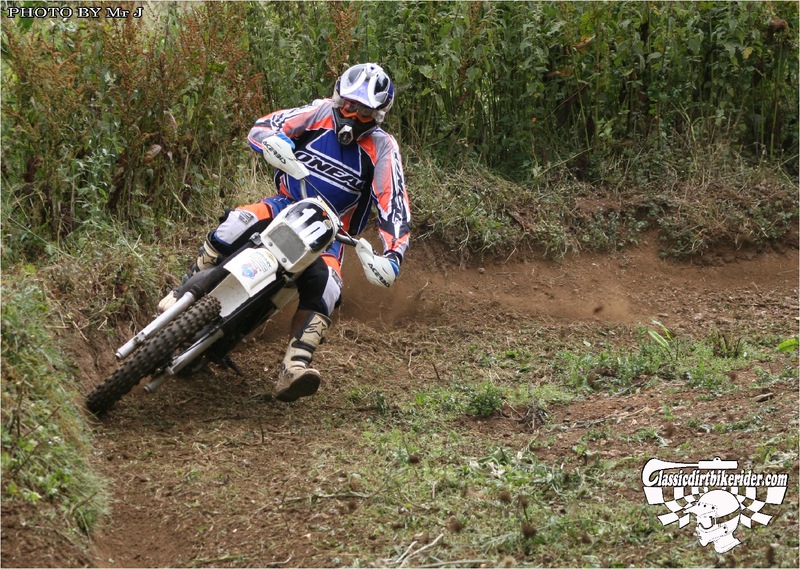 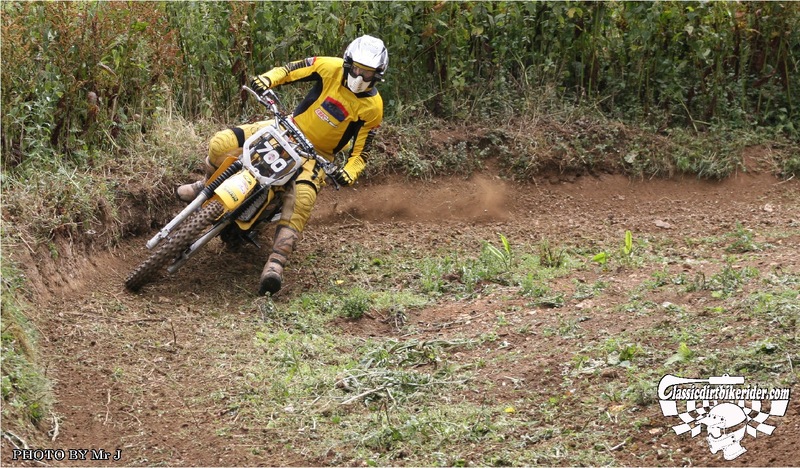 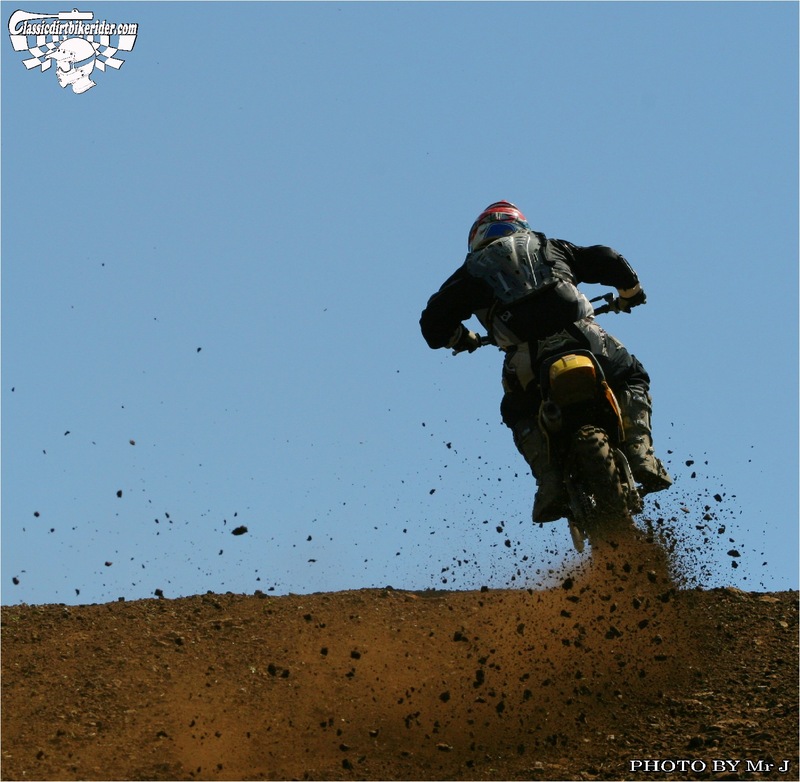 It`s a long, wide & well graded track with a mix of both tight & twisty plus wide free flowing corners as well as various jumps, there are plenty of long fast straights & up hill sections that give the 500cc riders a chance to really get the big bikes wound up. 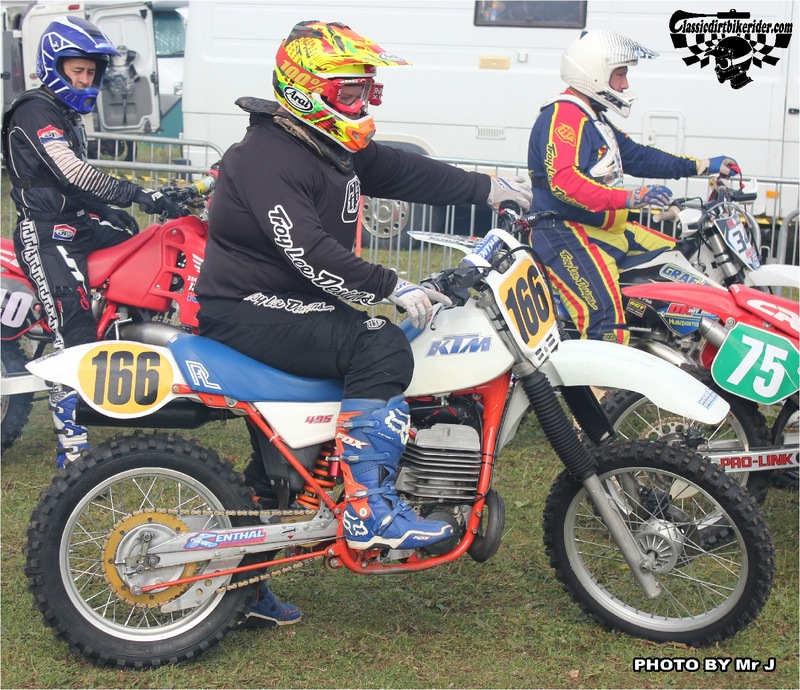 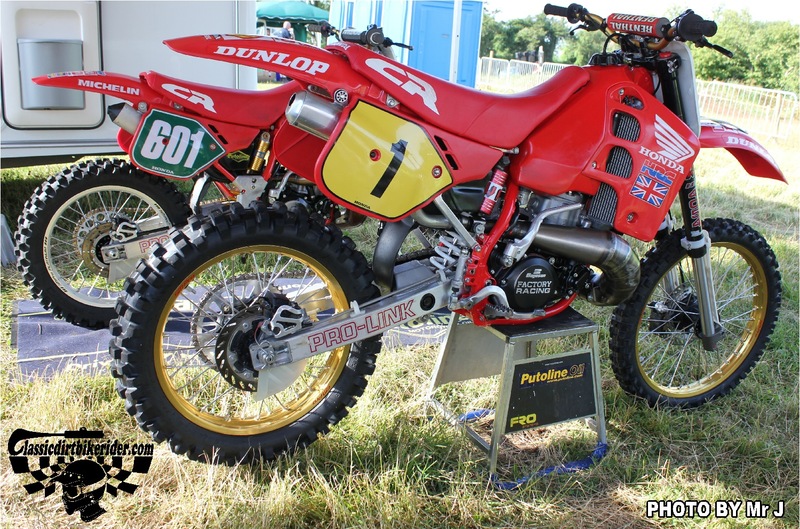 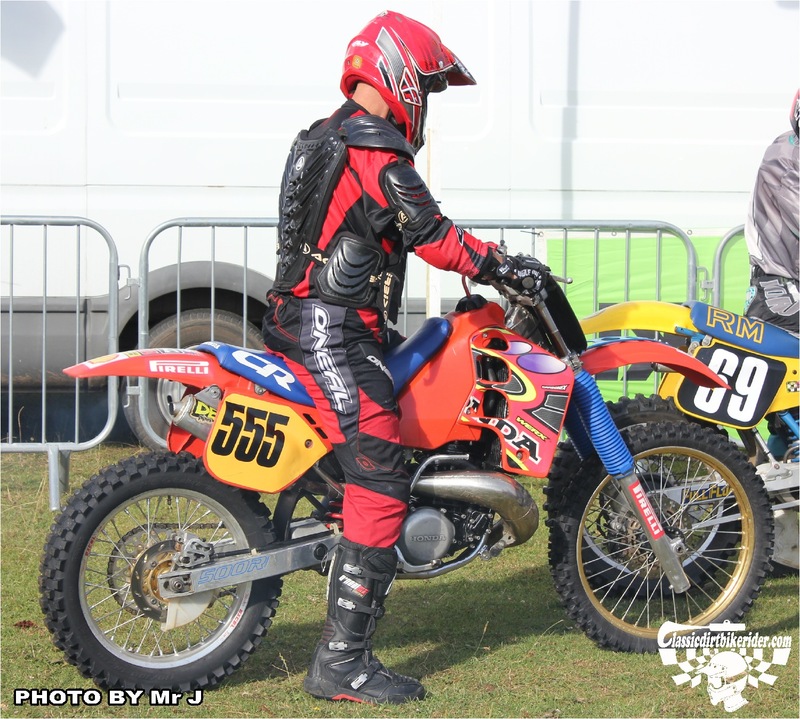 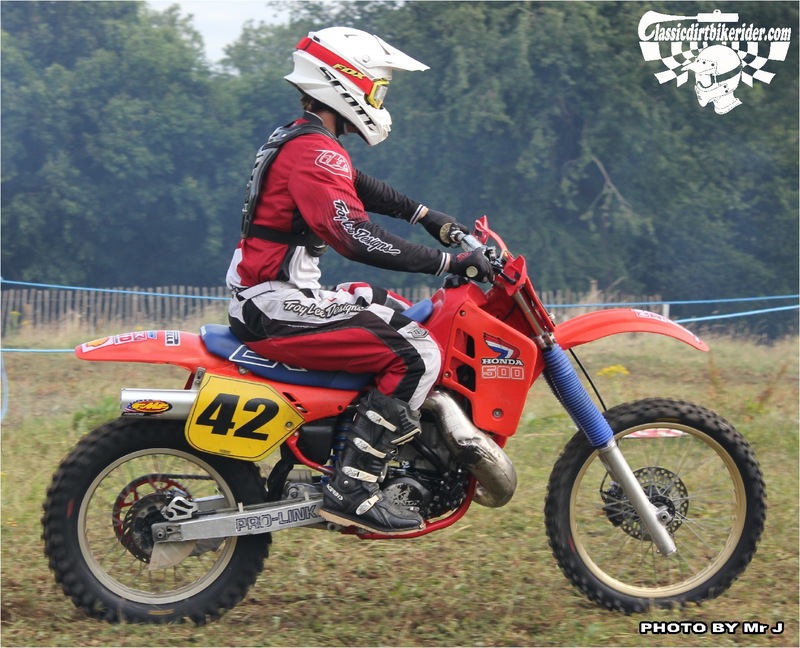 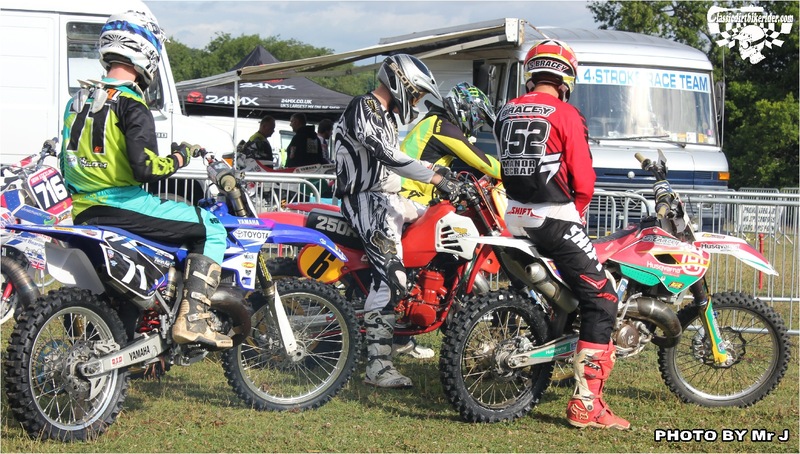 The organisers ran a mind boggling list of different categories including rider age related Twinshock & Evo races, as well as Evo 125, Evo 250, Super Evo & a modern 2-stroke groups. 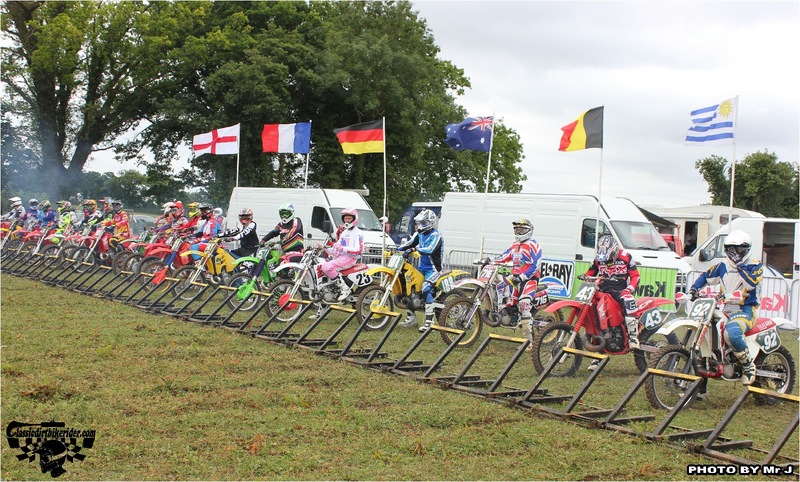 In among all this lot the event also contained a round of the Partridge Ventilation 125 series & the boys from WME Pre 85 Evo Club were also in attendance. 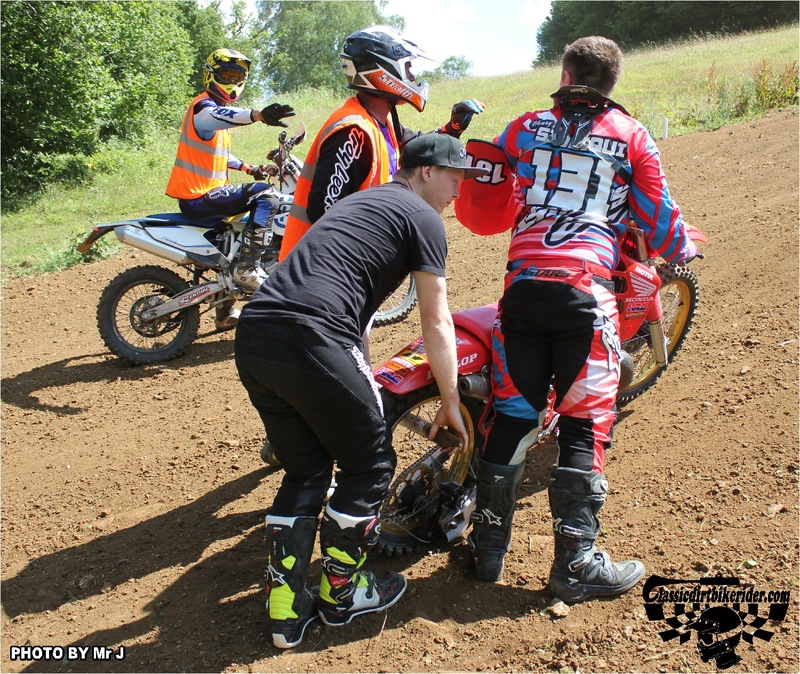 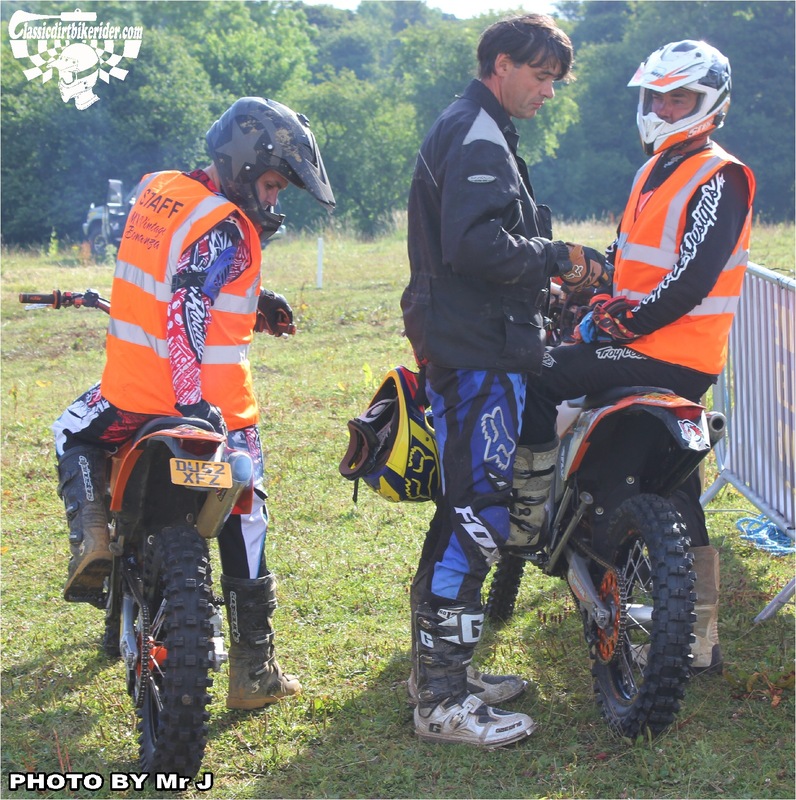 Apart from a delay in the afternoon due to a badly injured rider having to be carefully transported from the track to a waiting ambulance the event ran very smoothly. 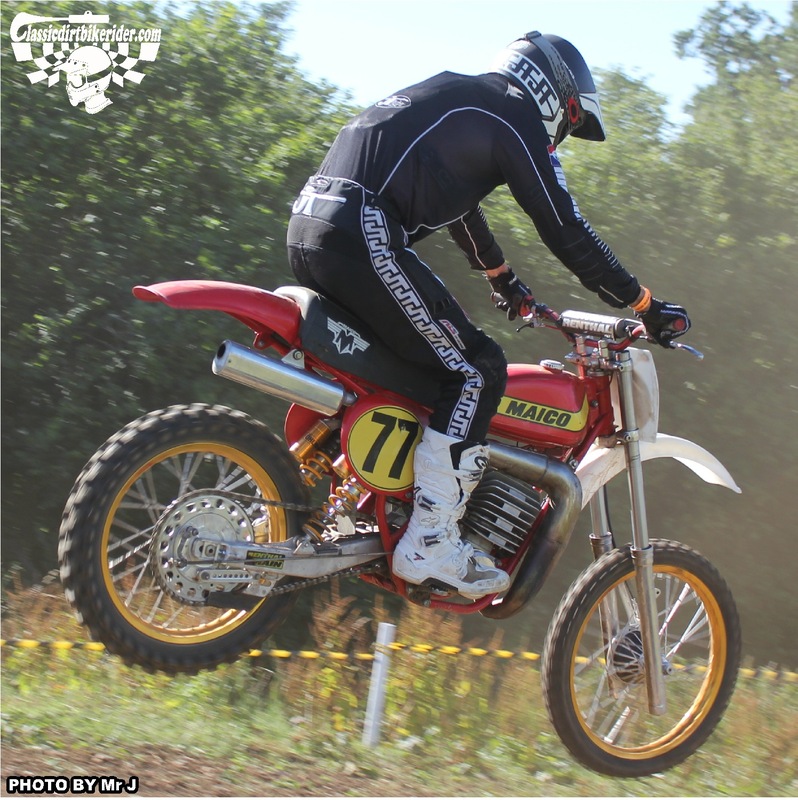 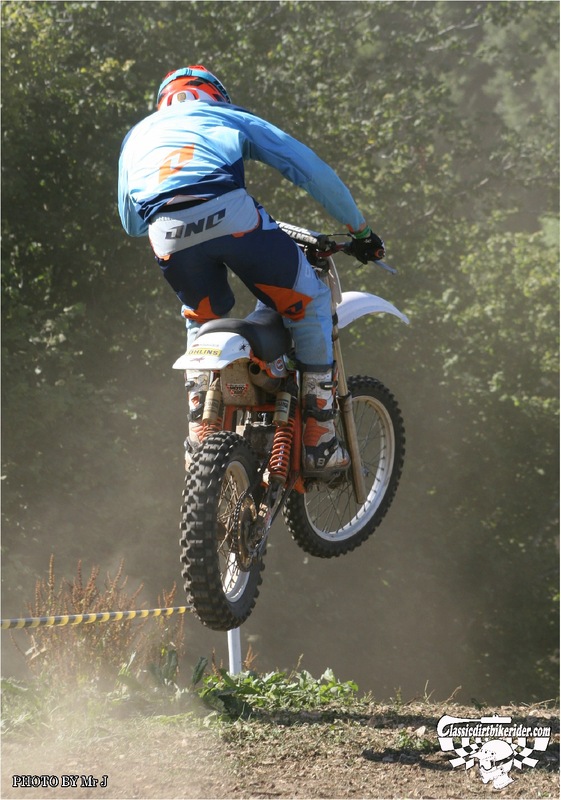 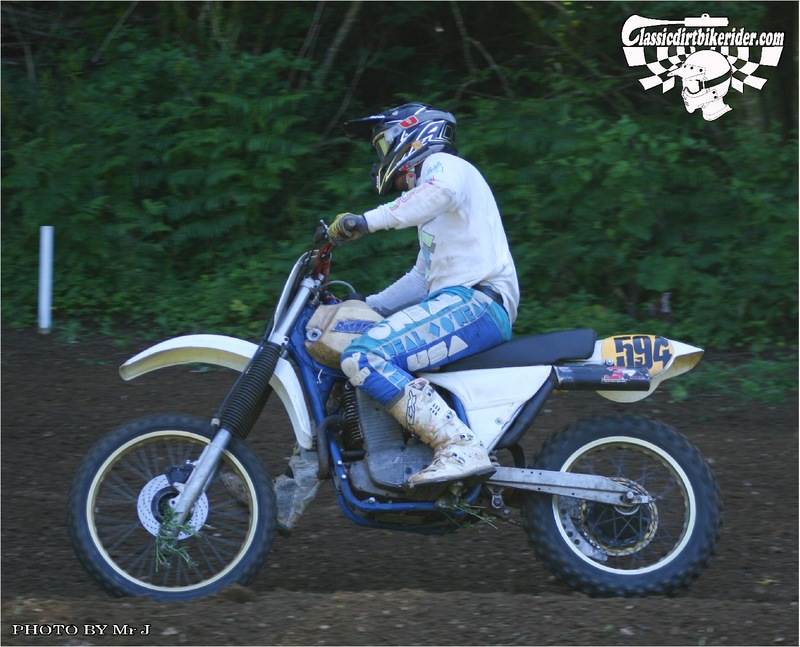 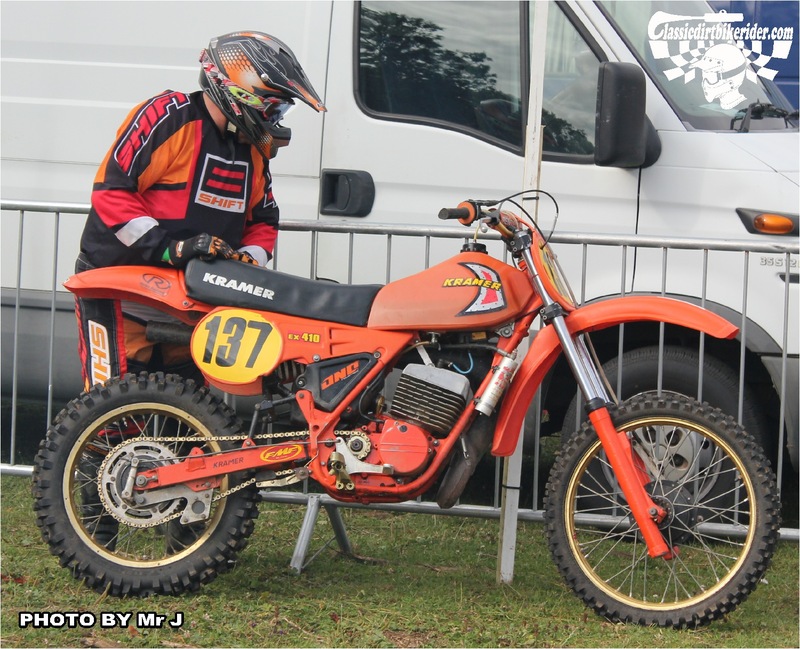 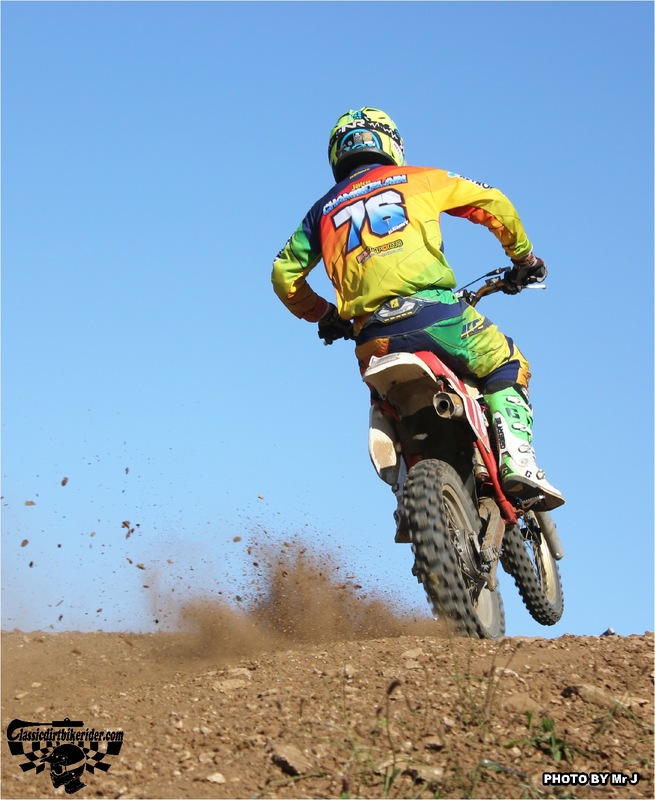 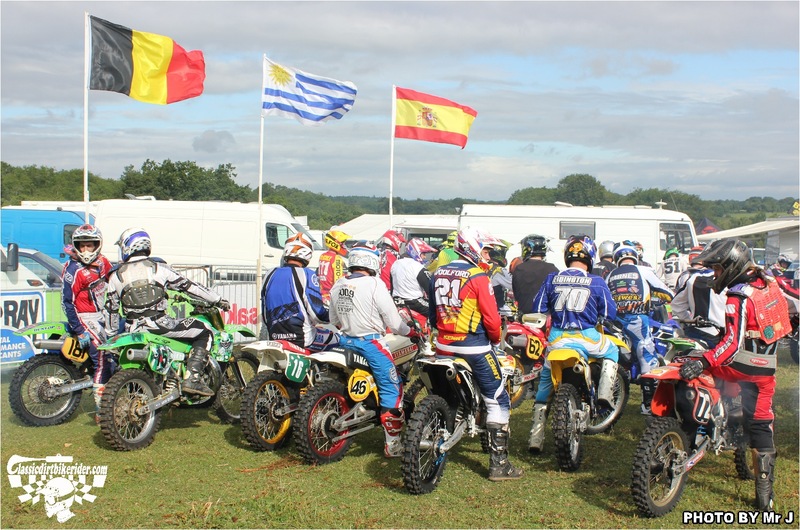 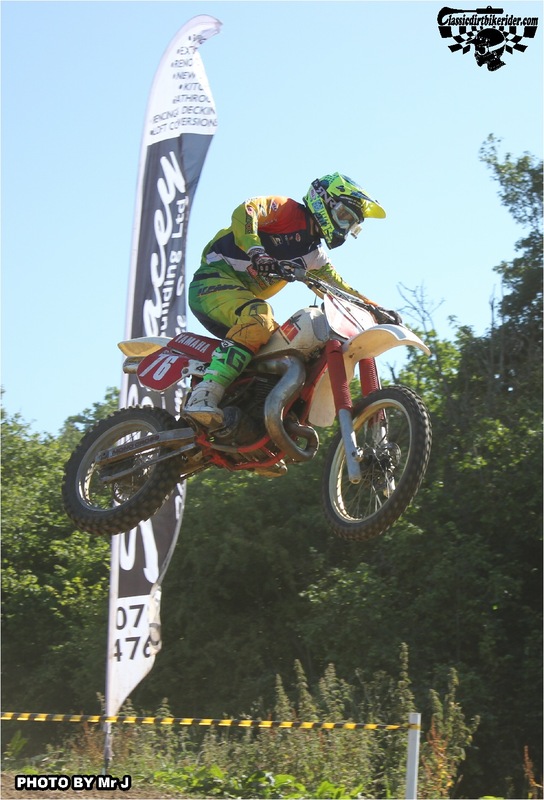 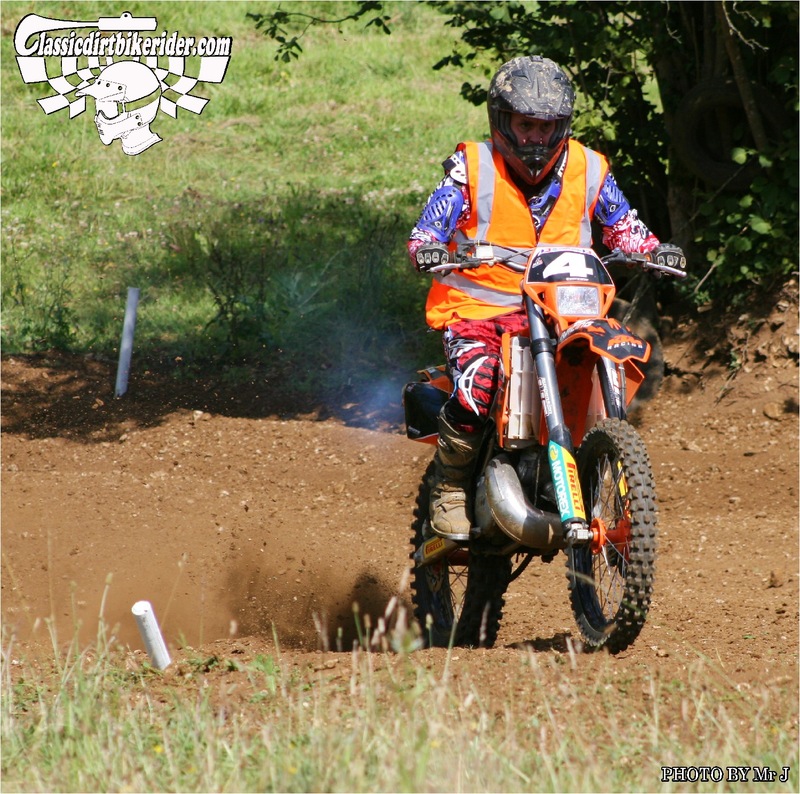 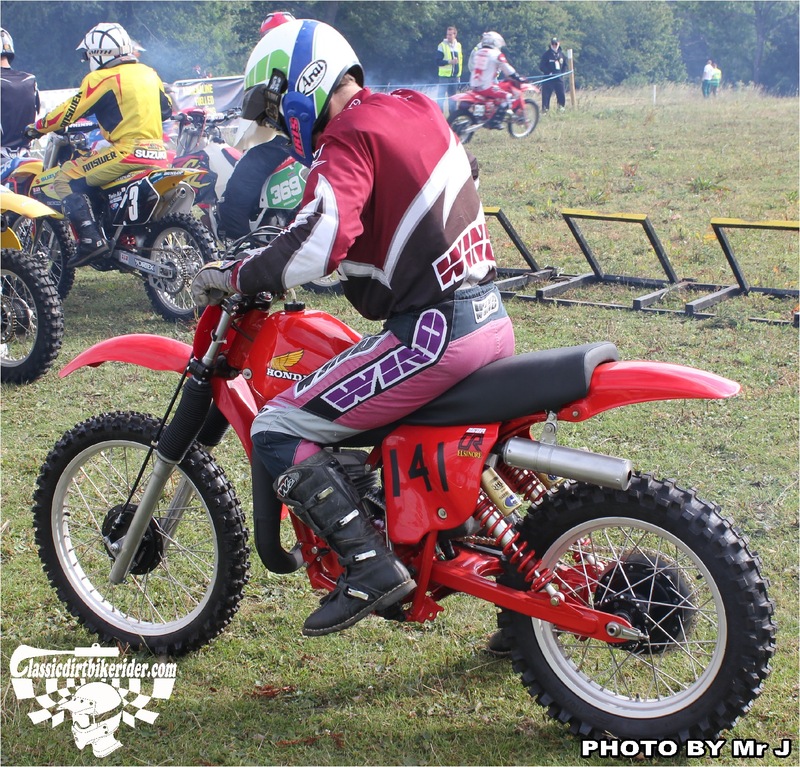 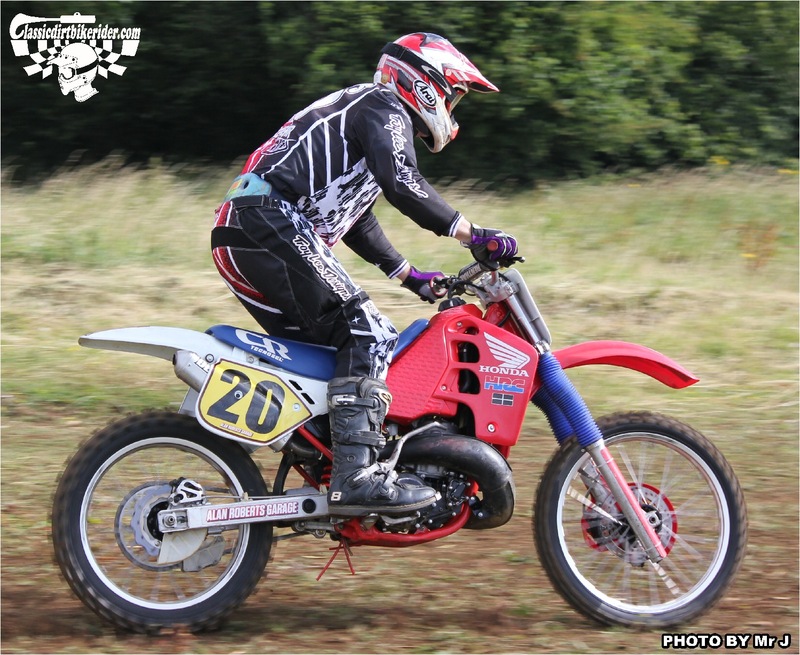 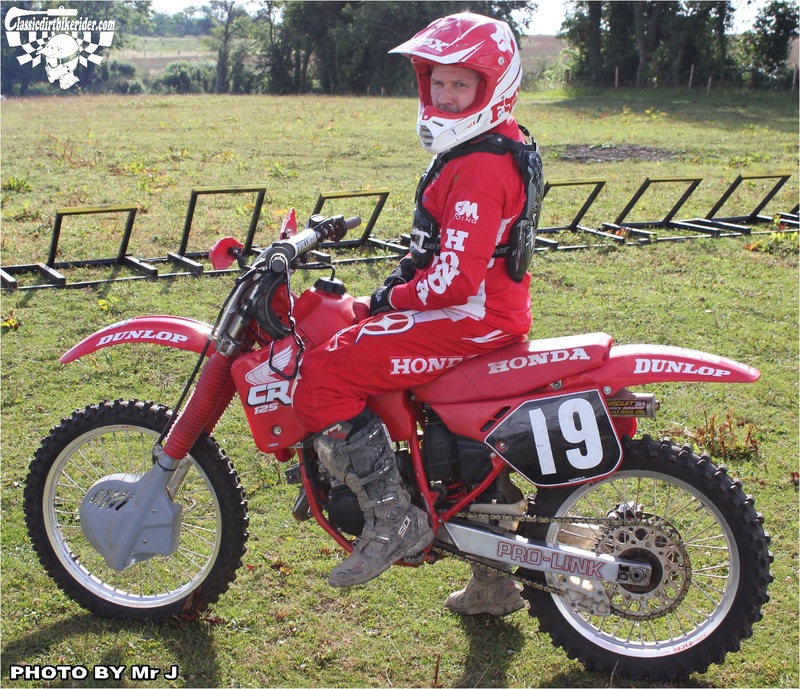 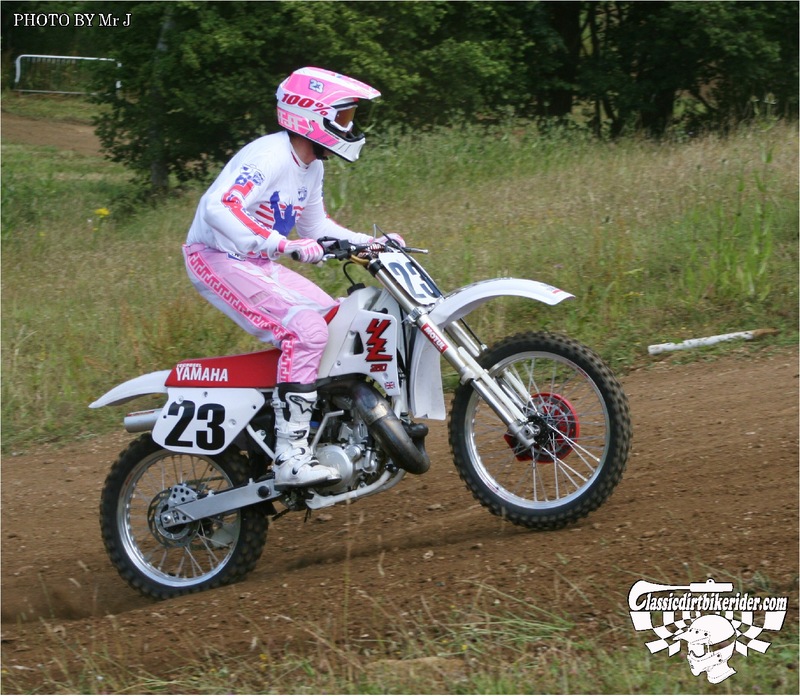 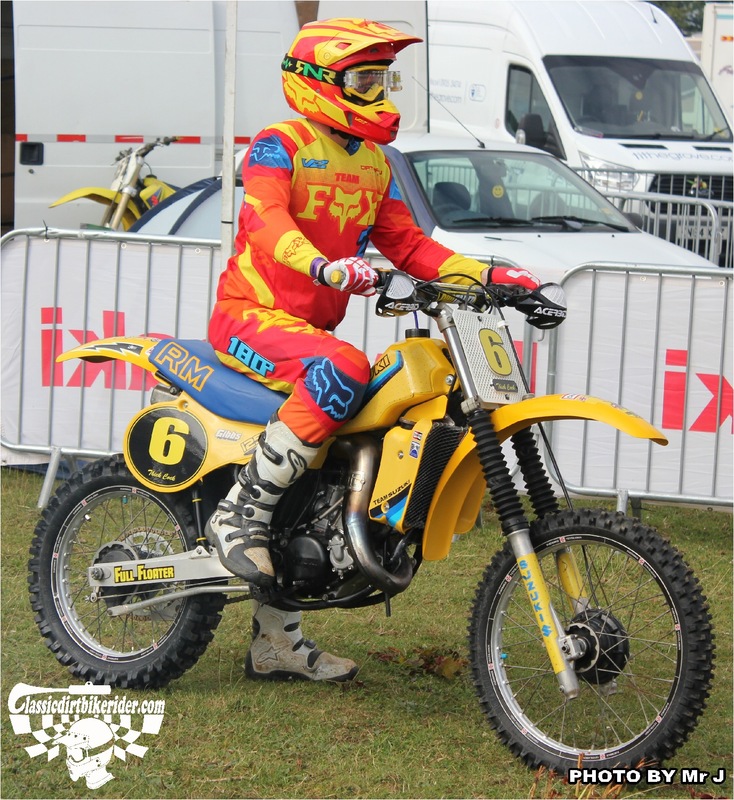 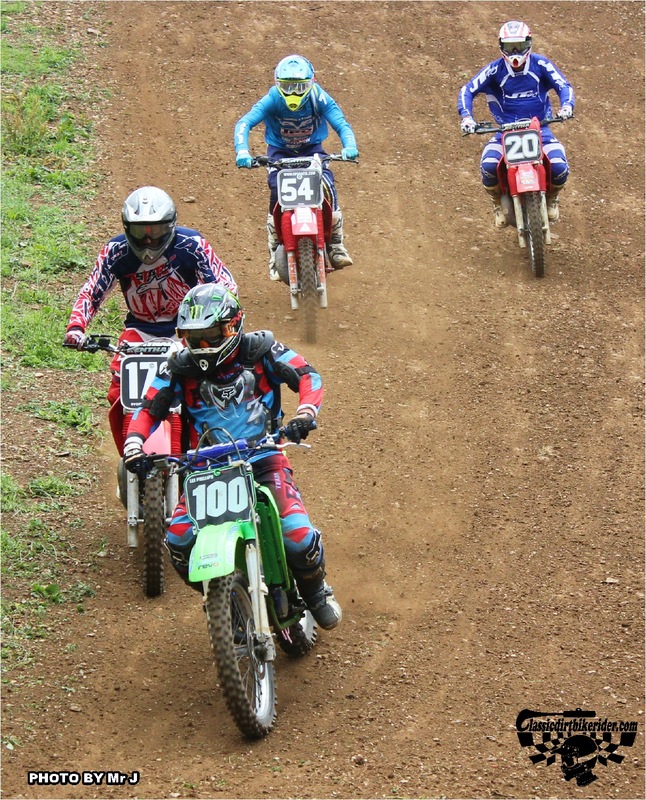 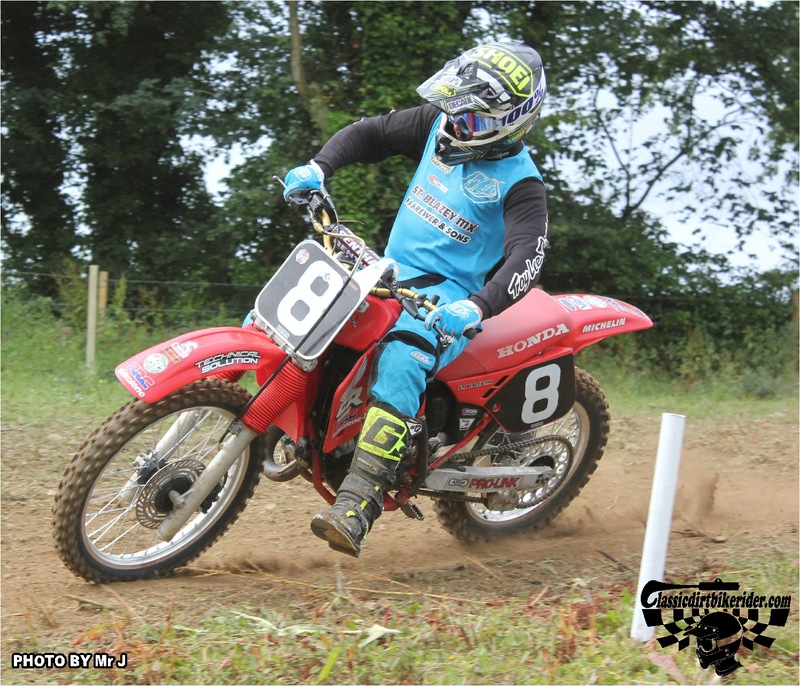 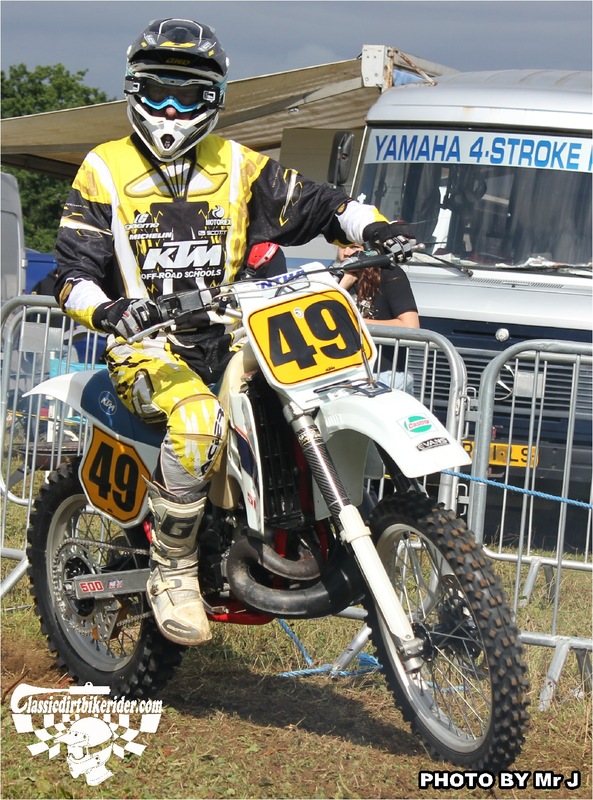 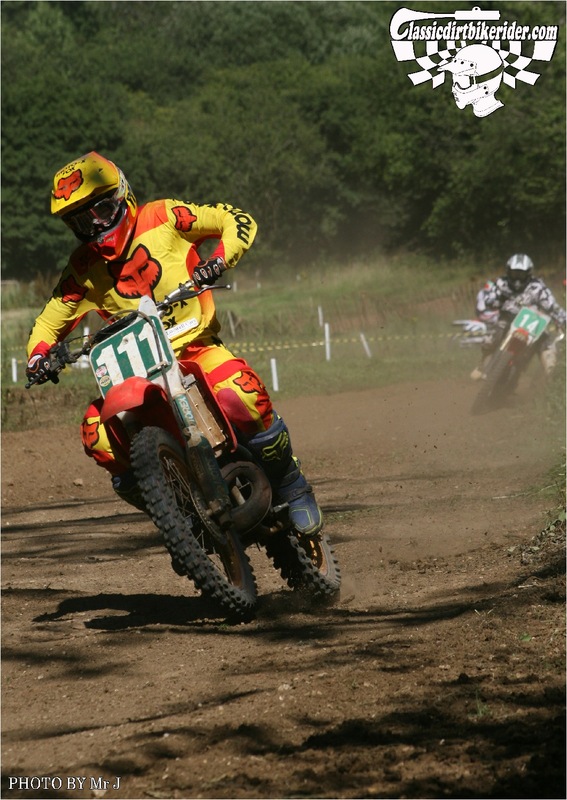 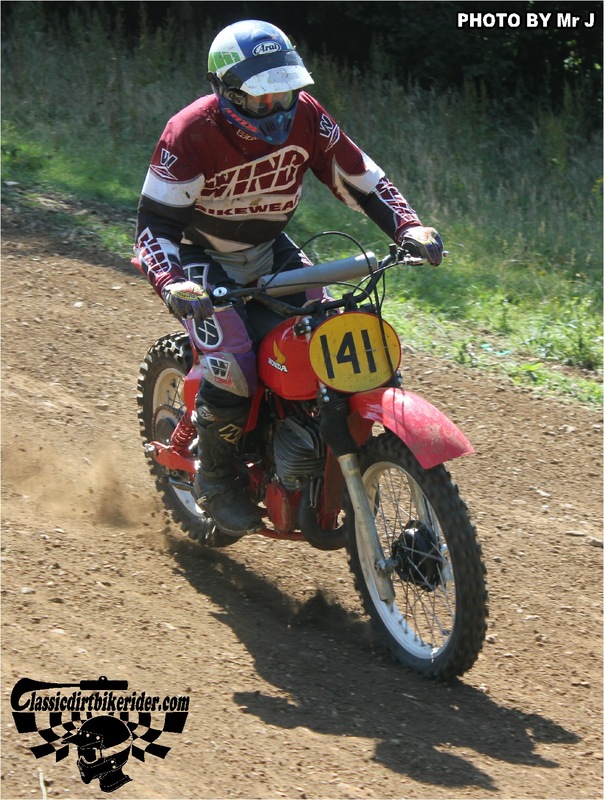 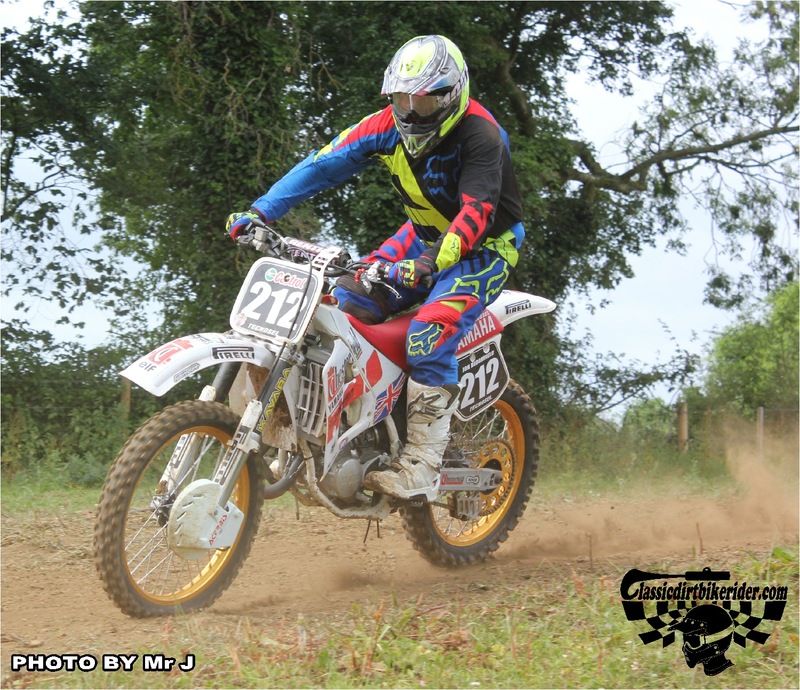 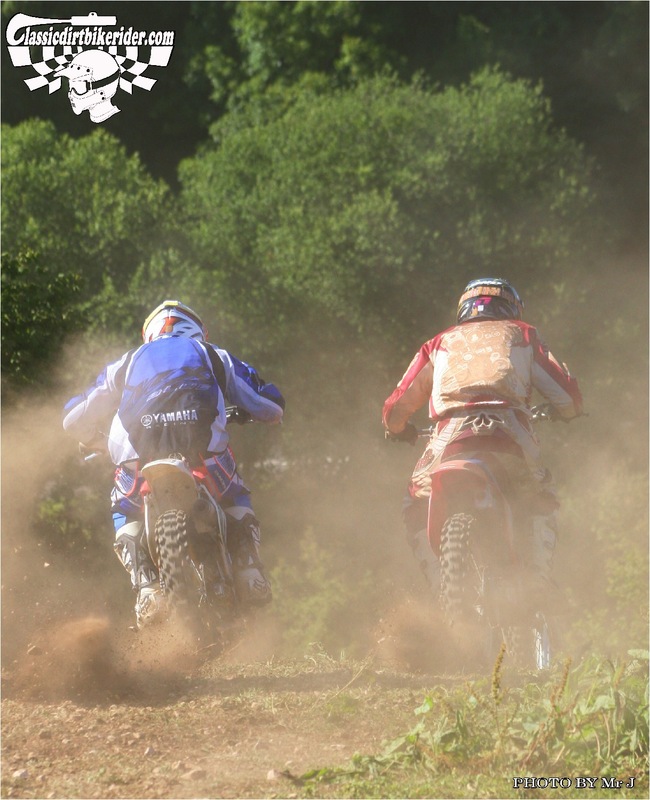 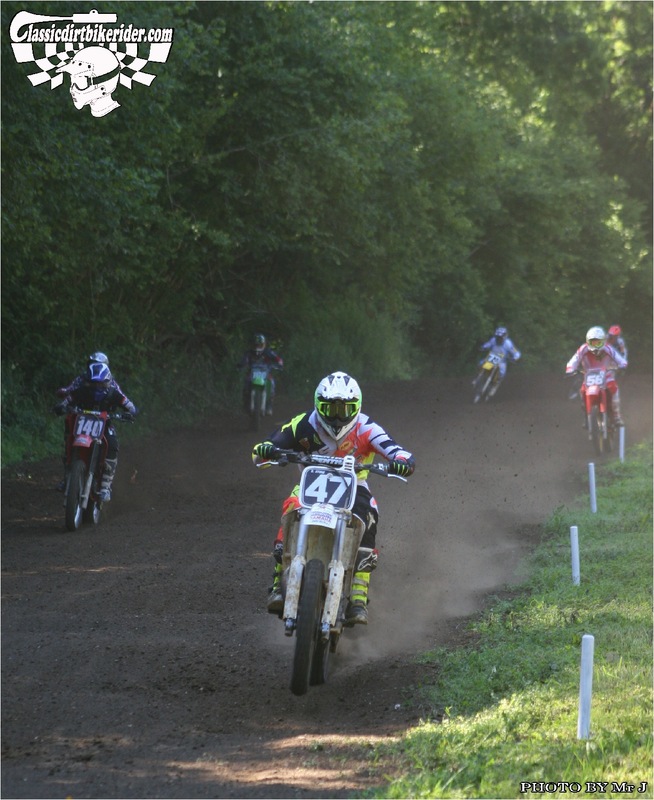 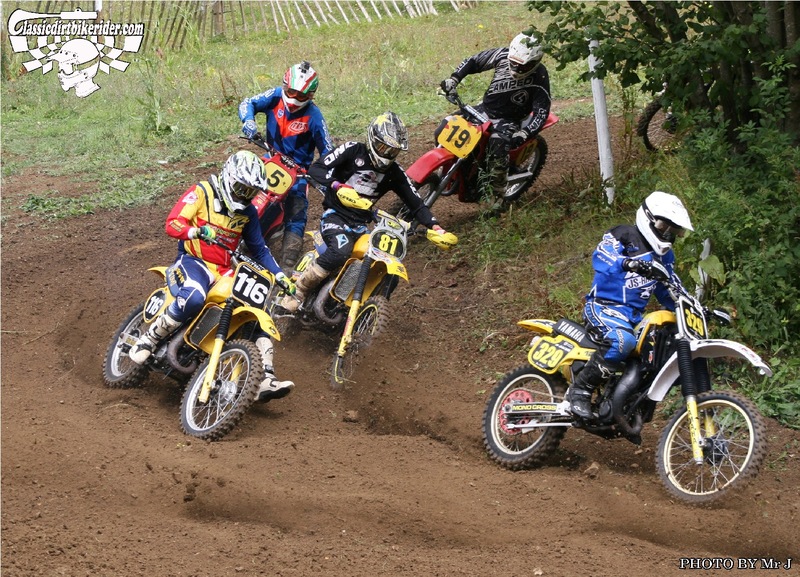 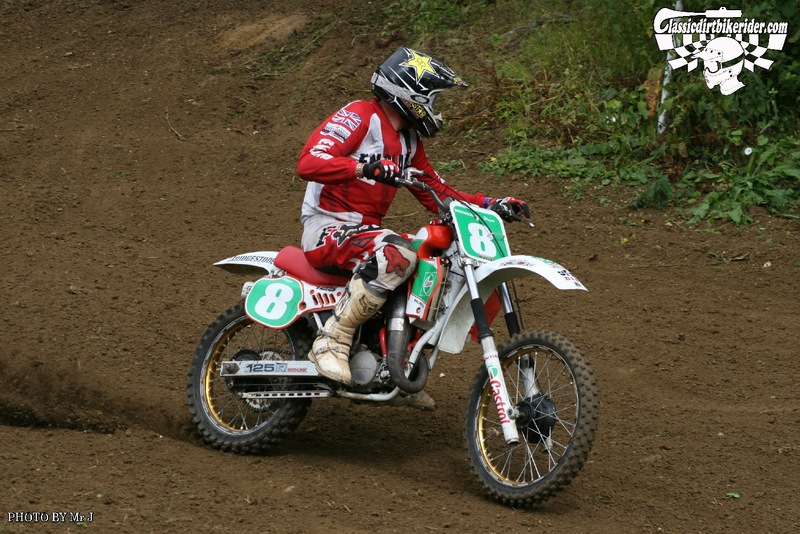 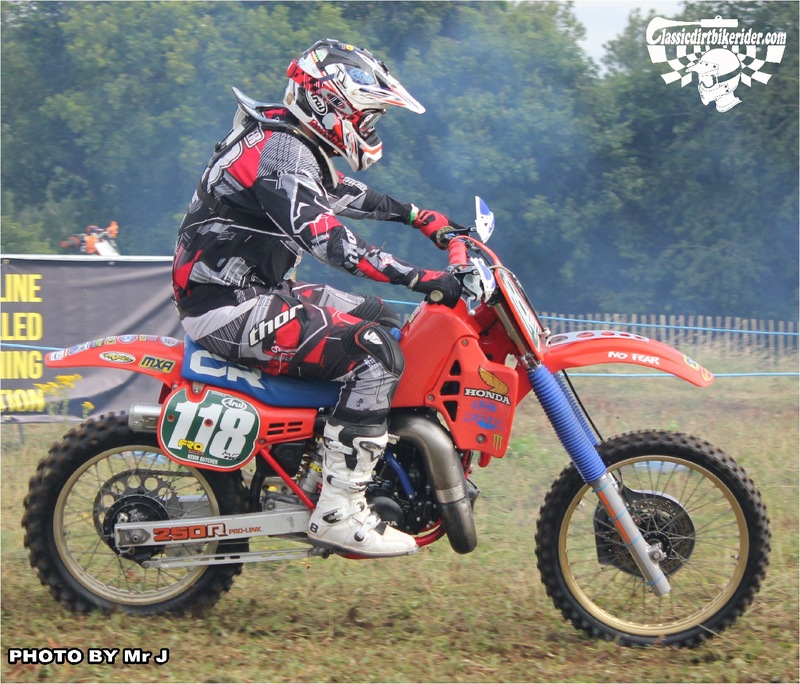 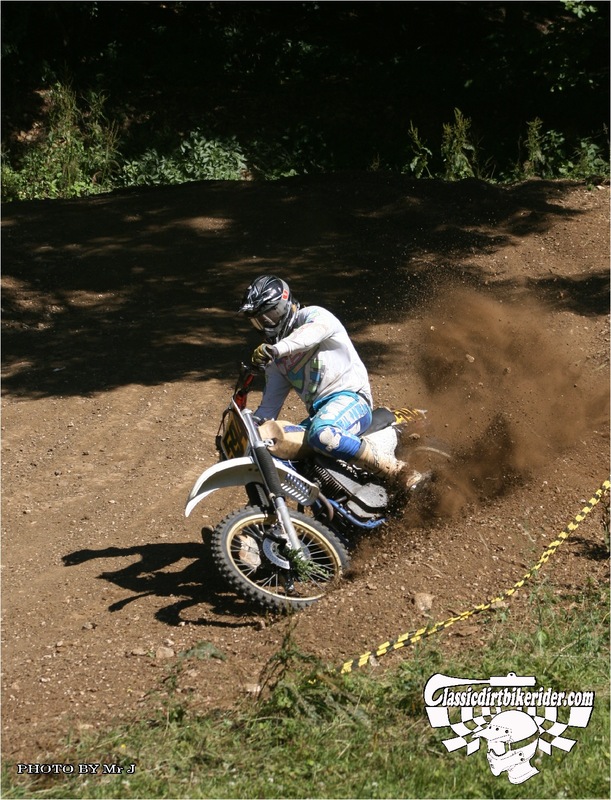 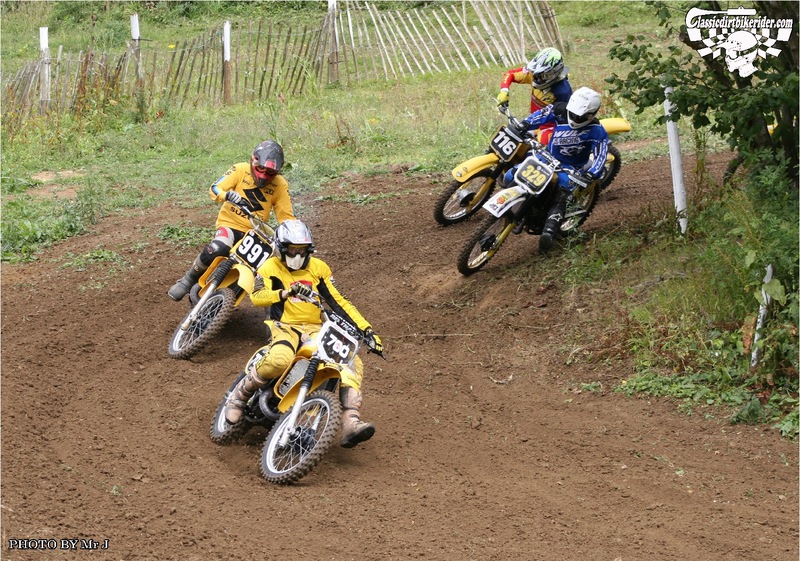 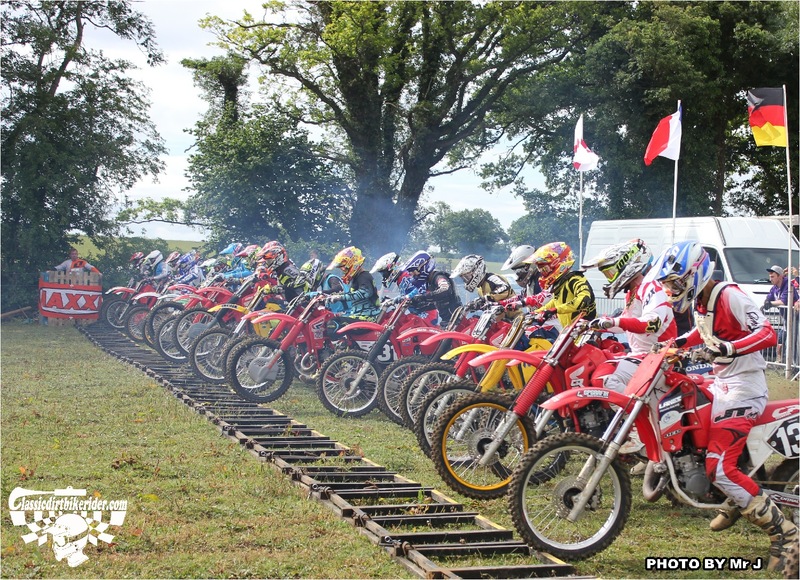 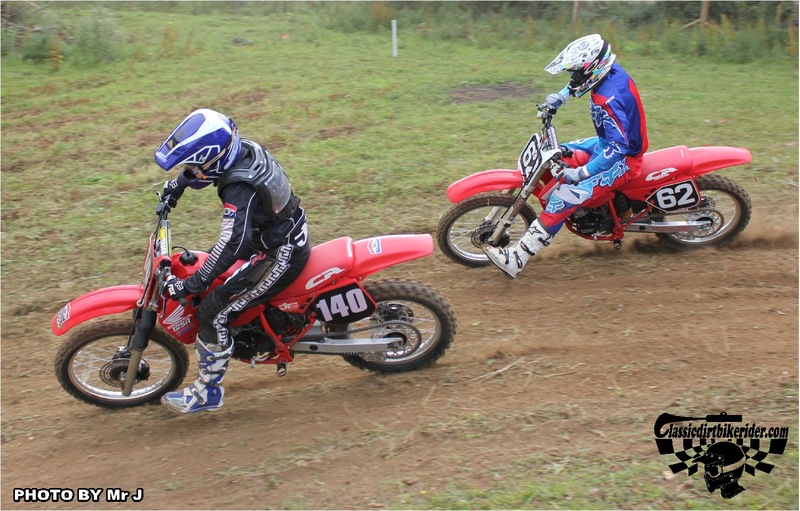 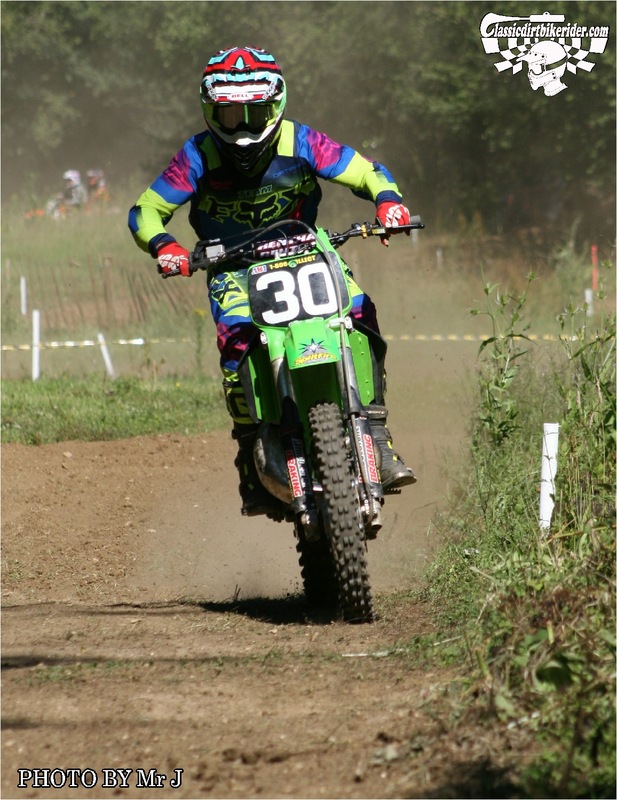 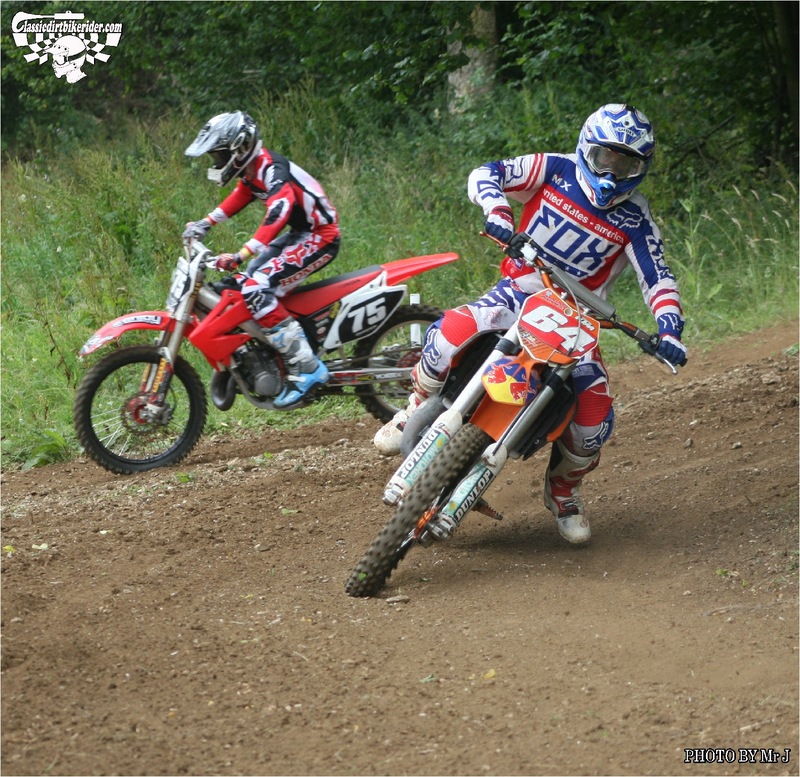 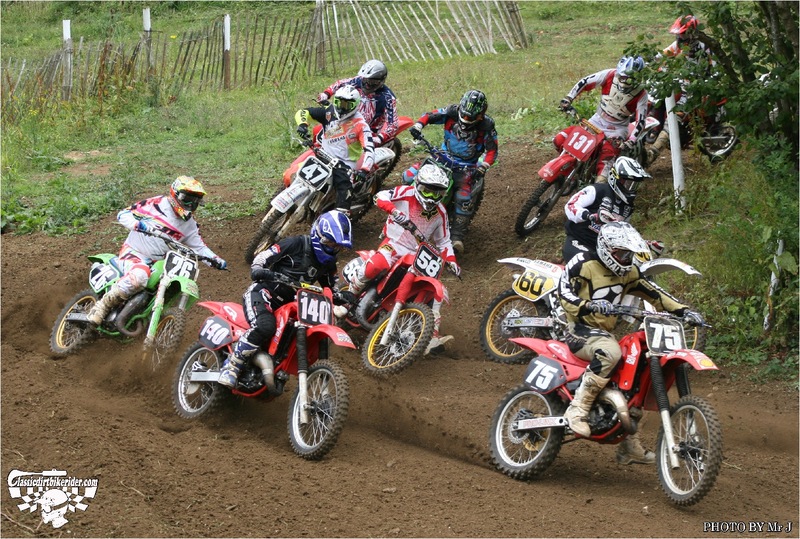 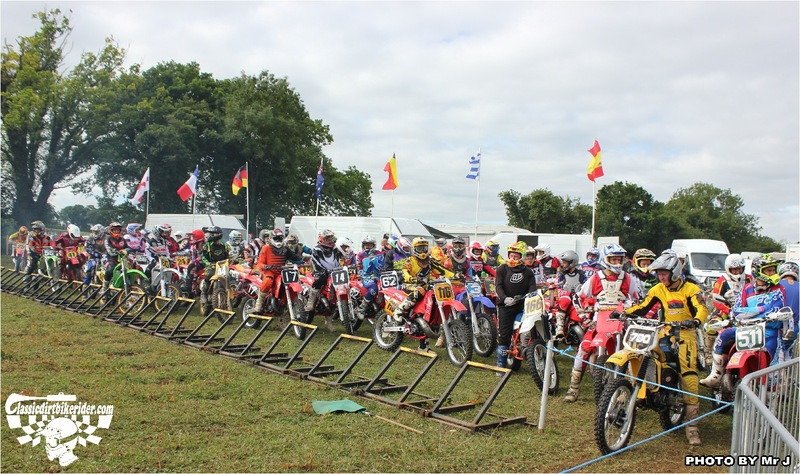 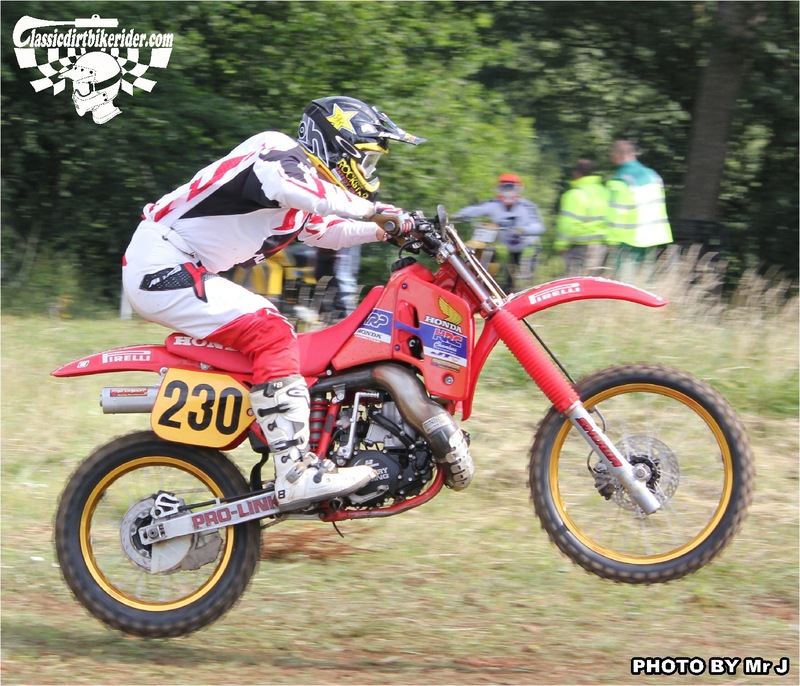 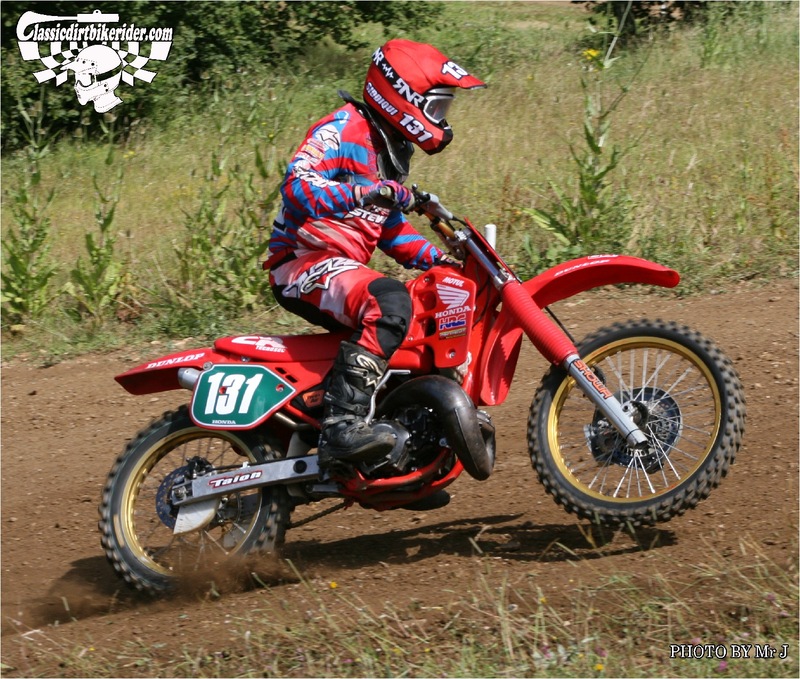 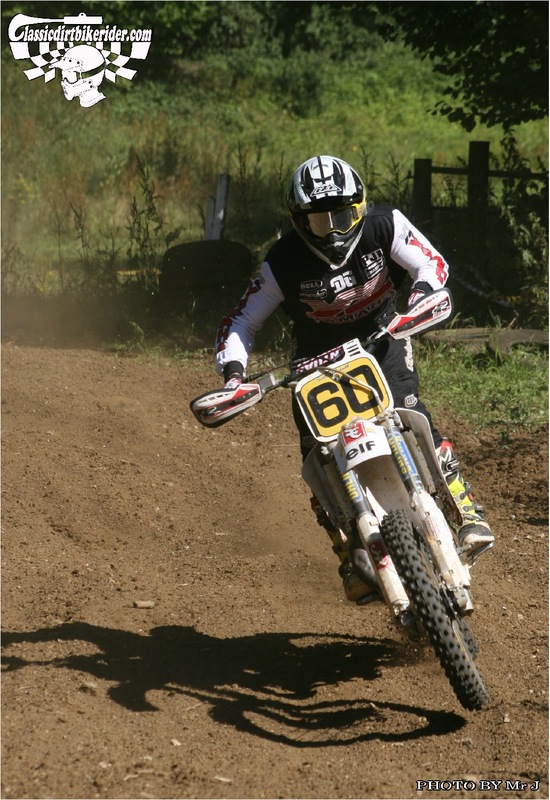 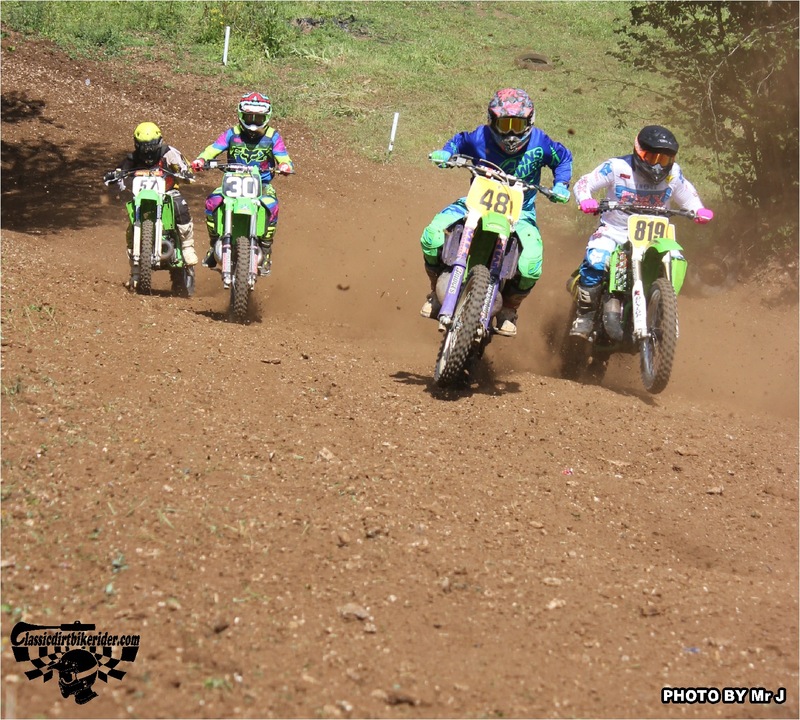 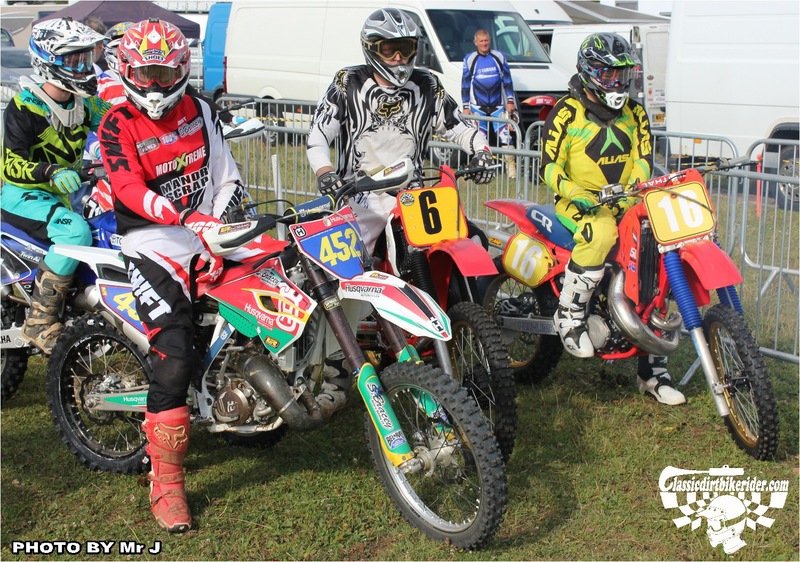 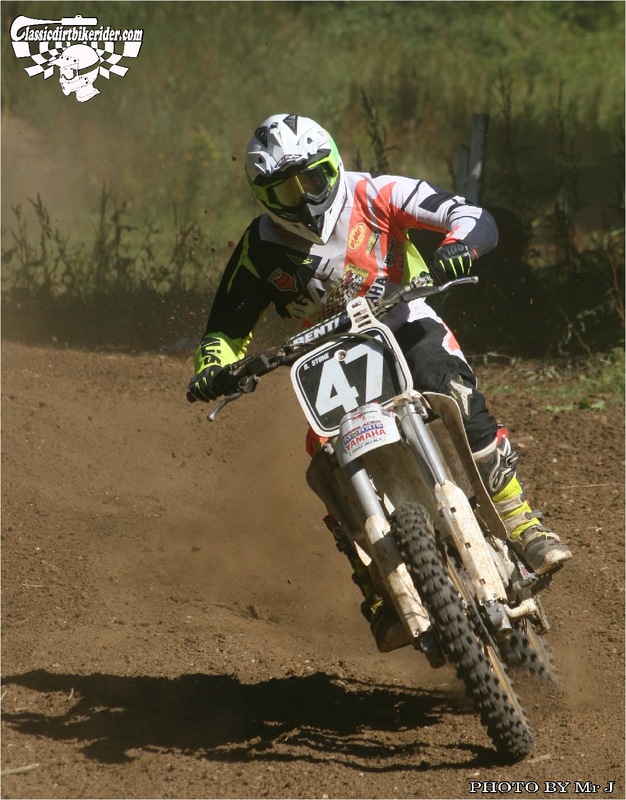 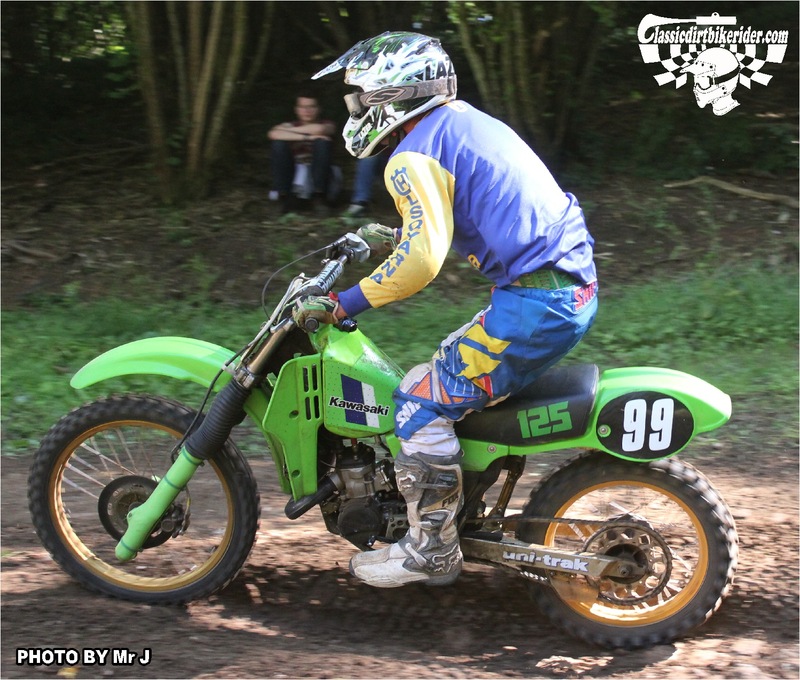 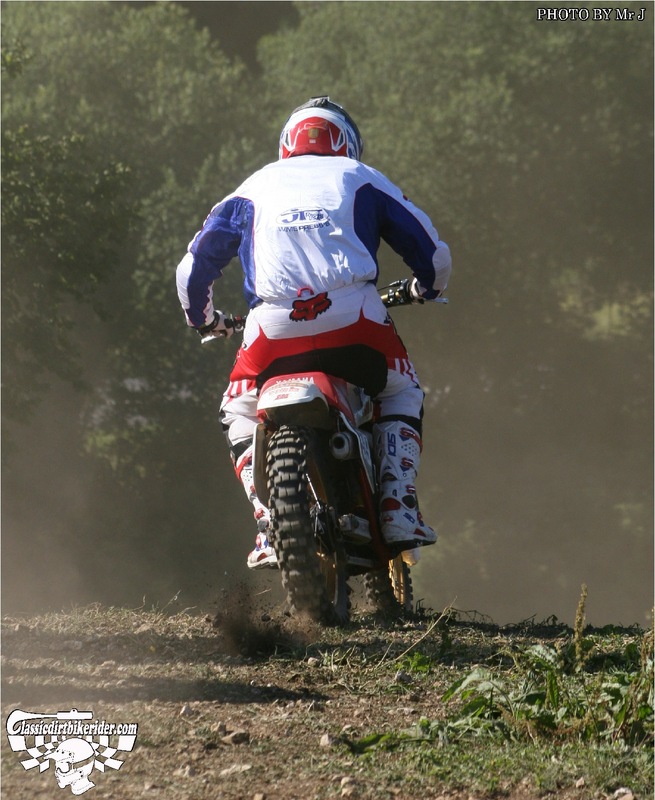 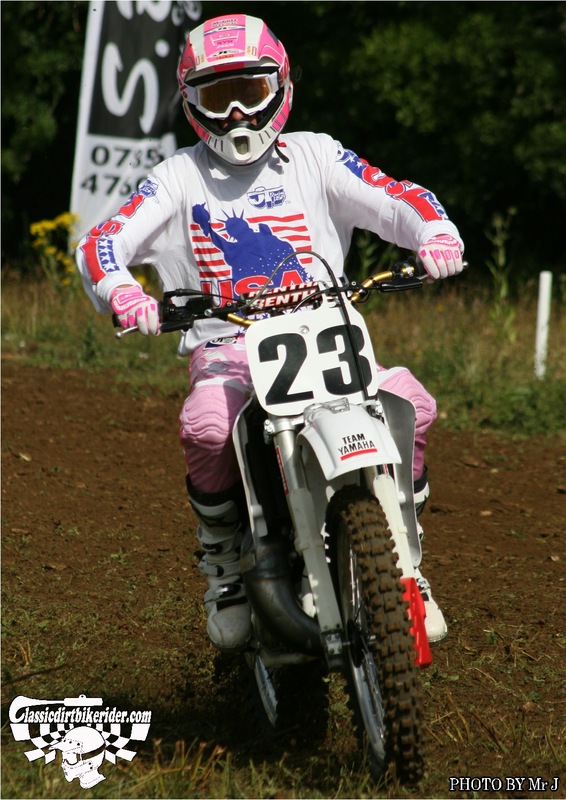 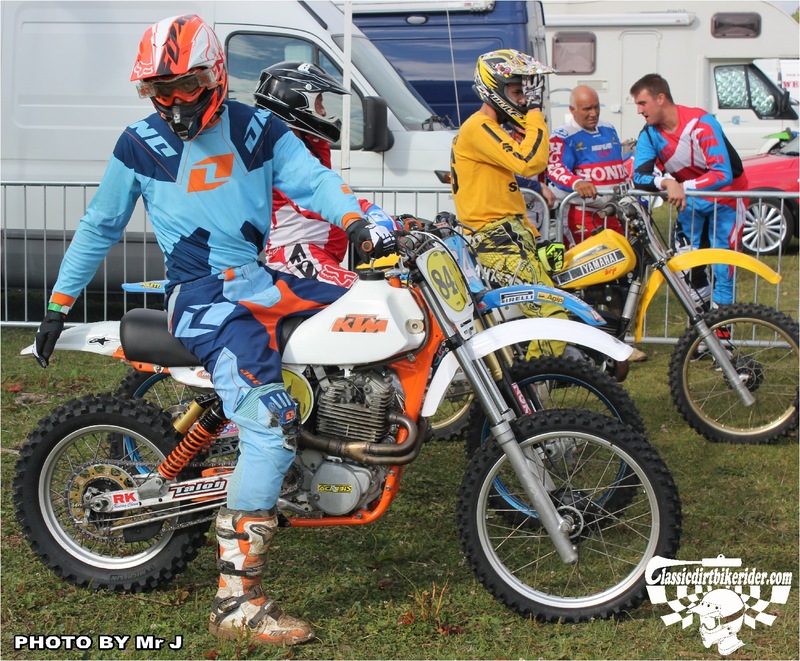 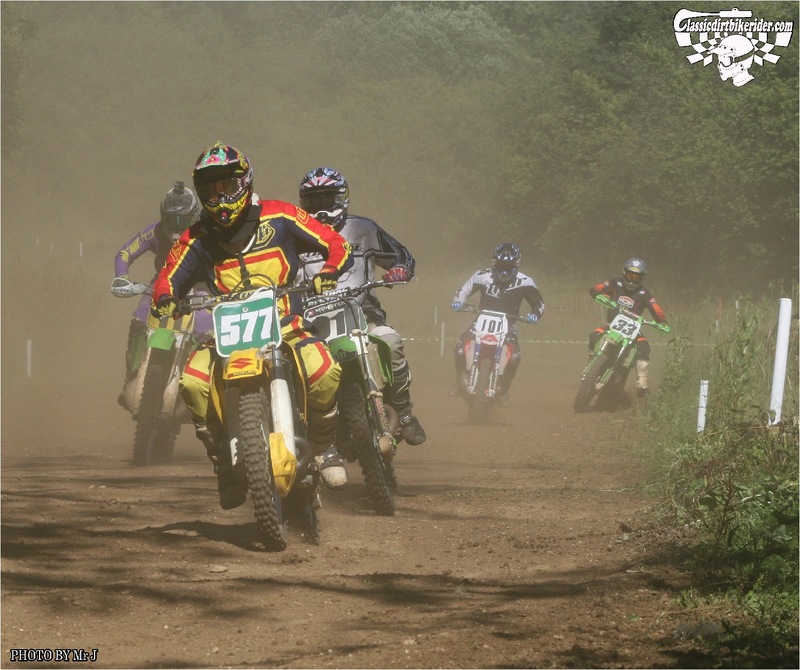 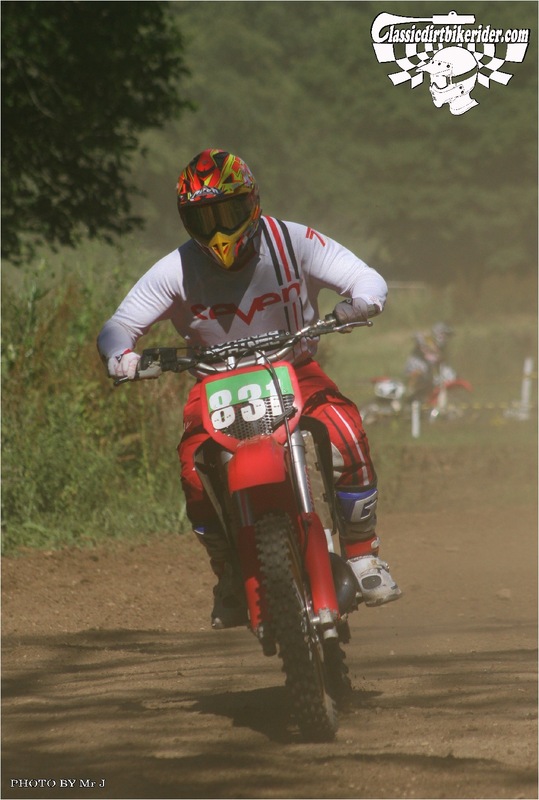 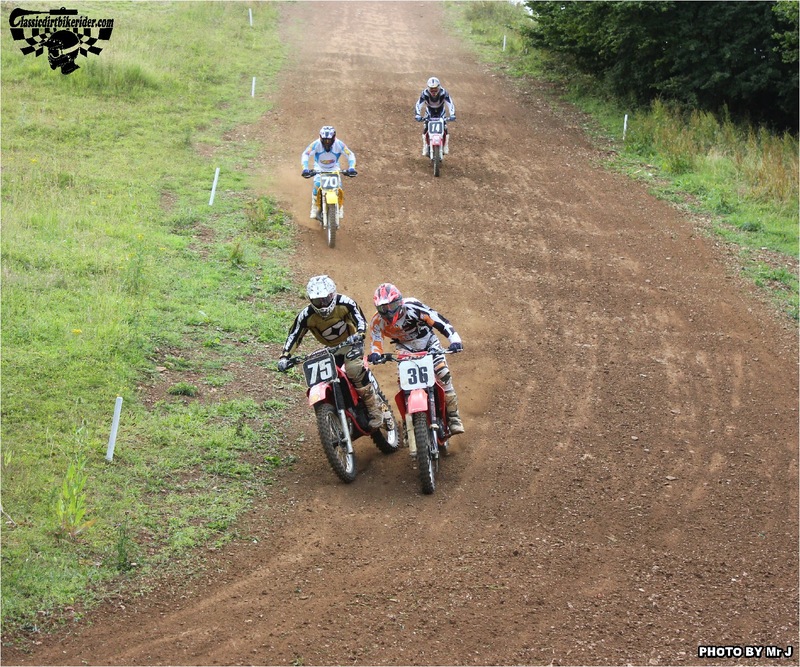 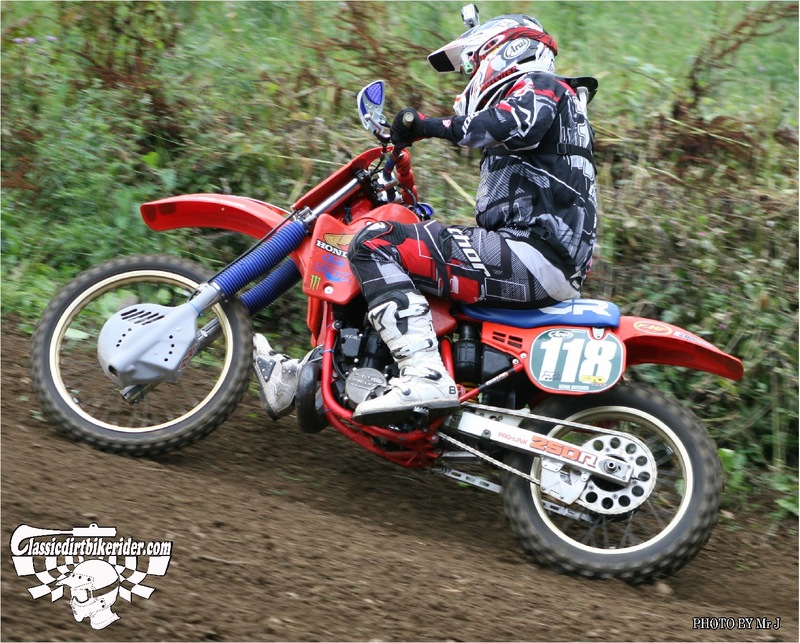 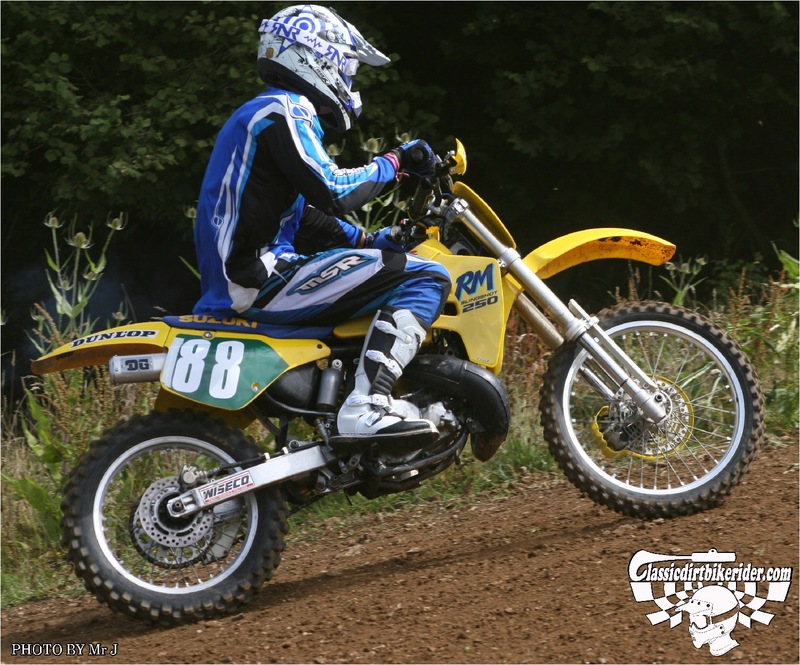 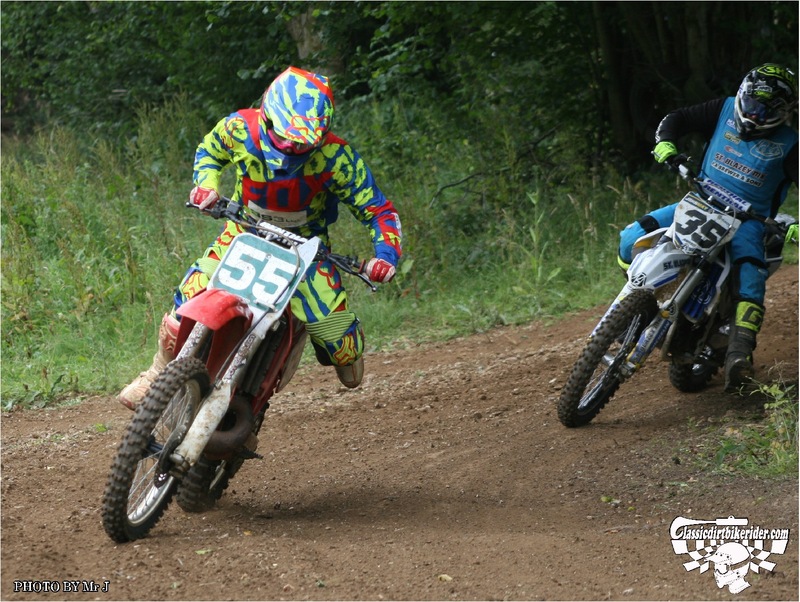 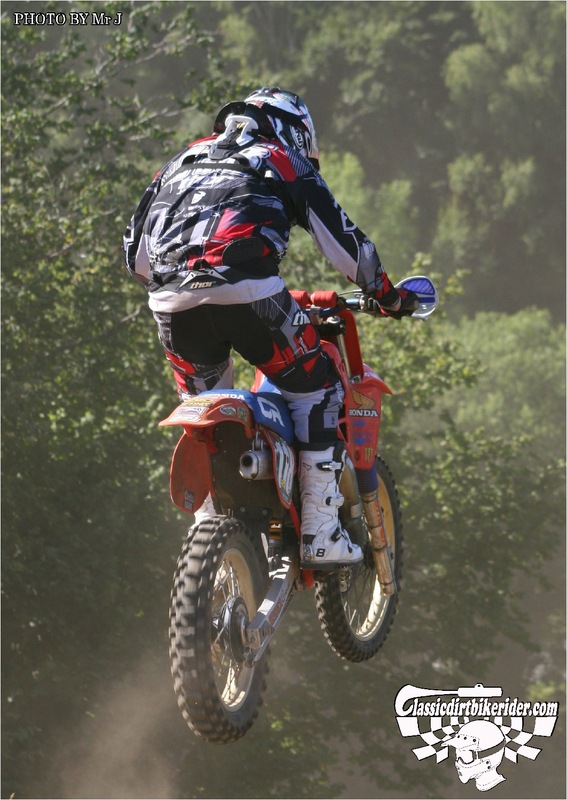 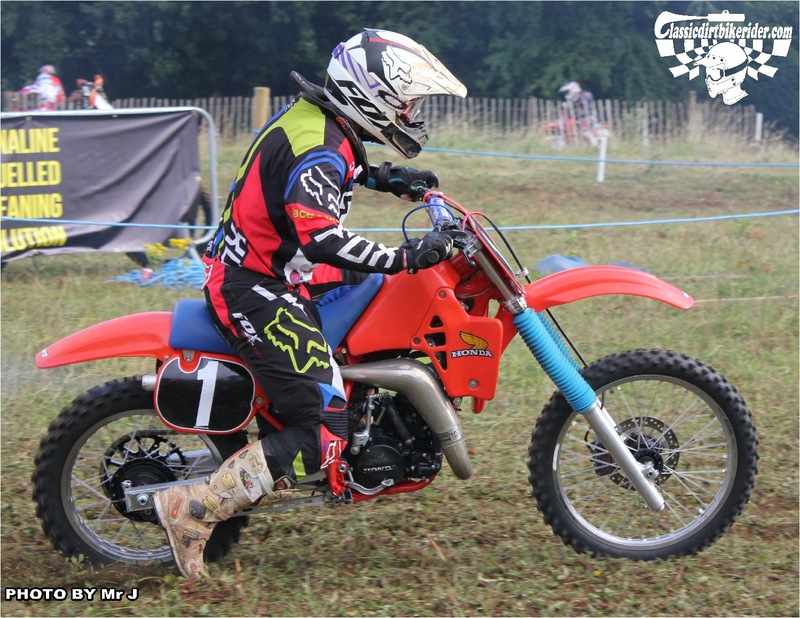 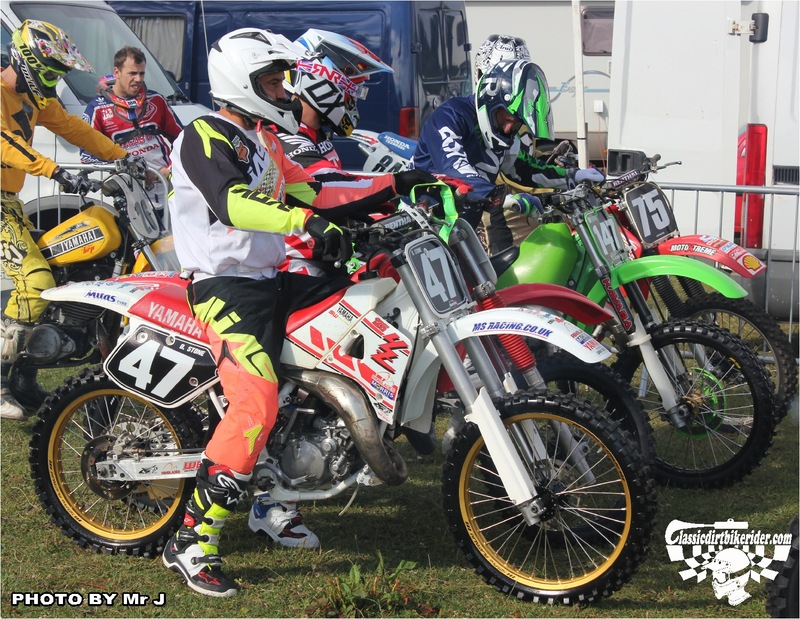 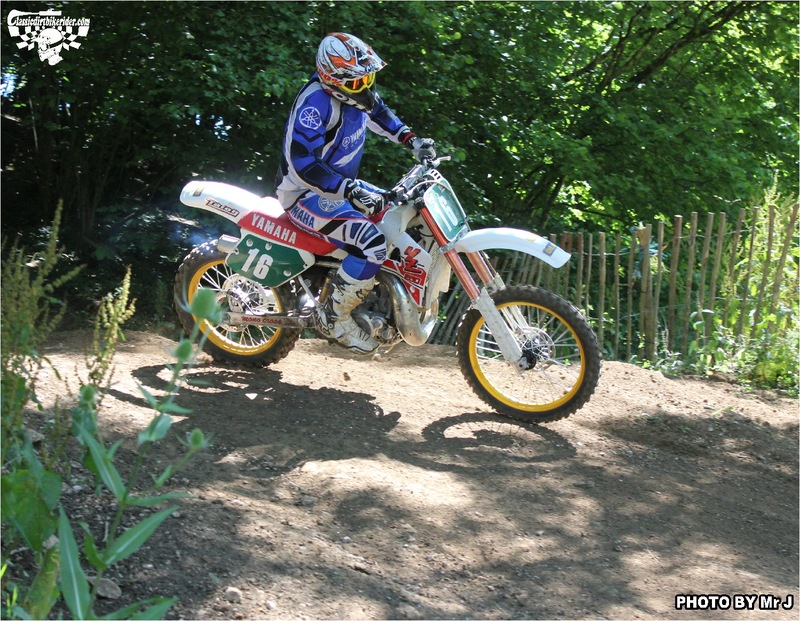 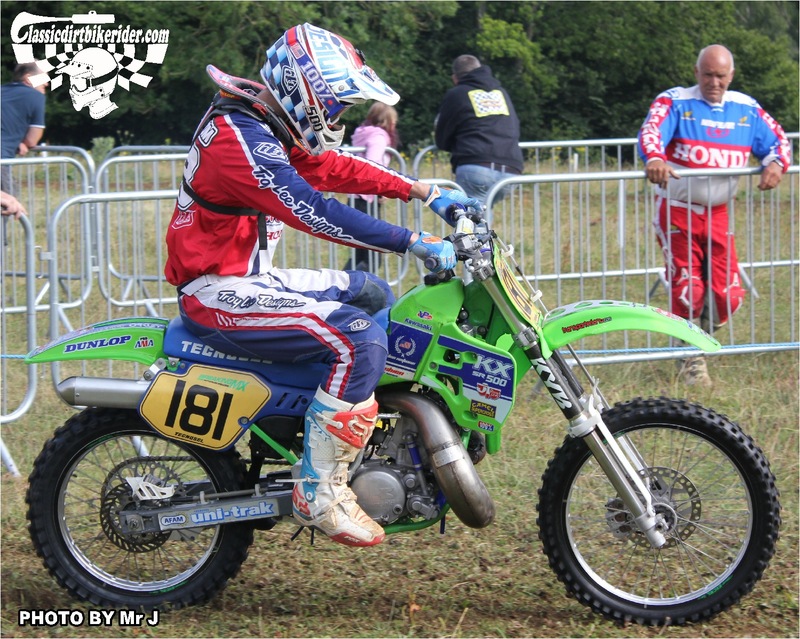 There is another vintage mx event being held by the club at this venue later in the year, it`s an ideal track for Twinshock & Evo riders so get your entry in now.